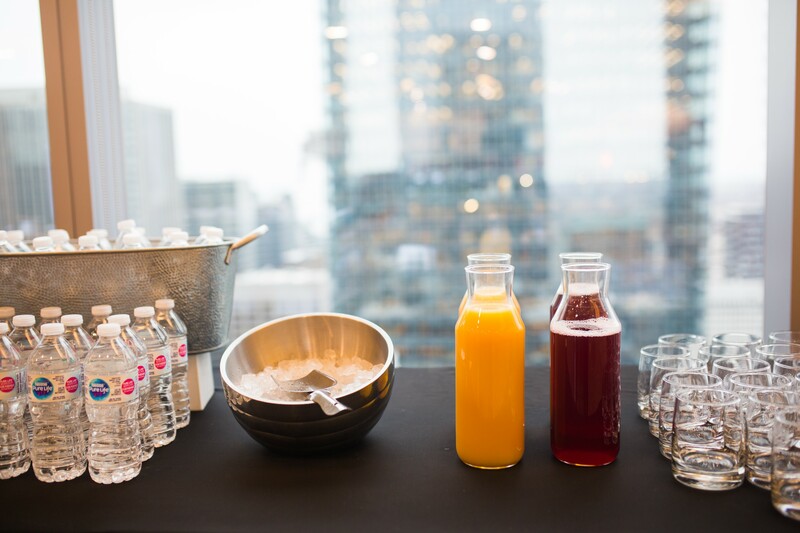 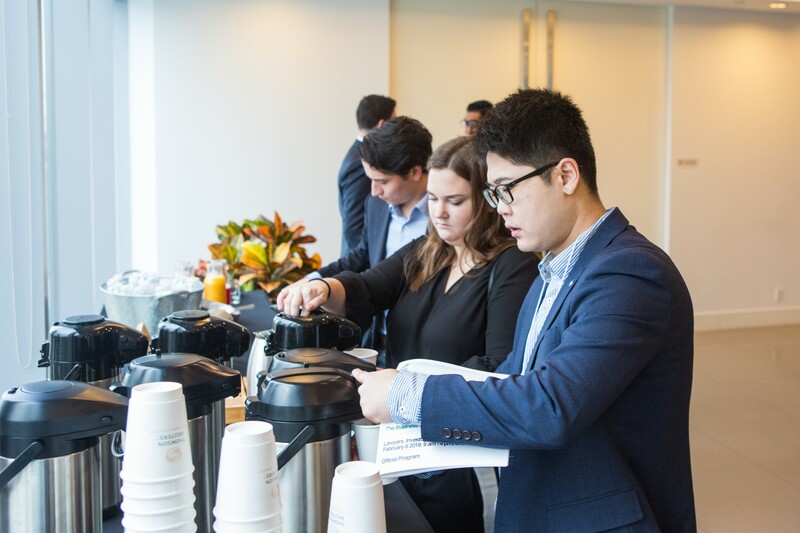 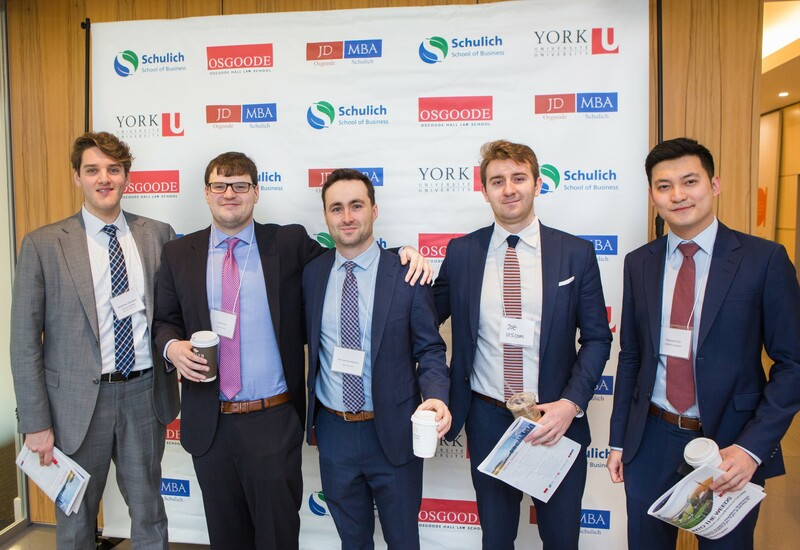 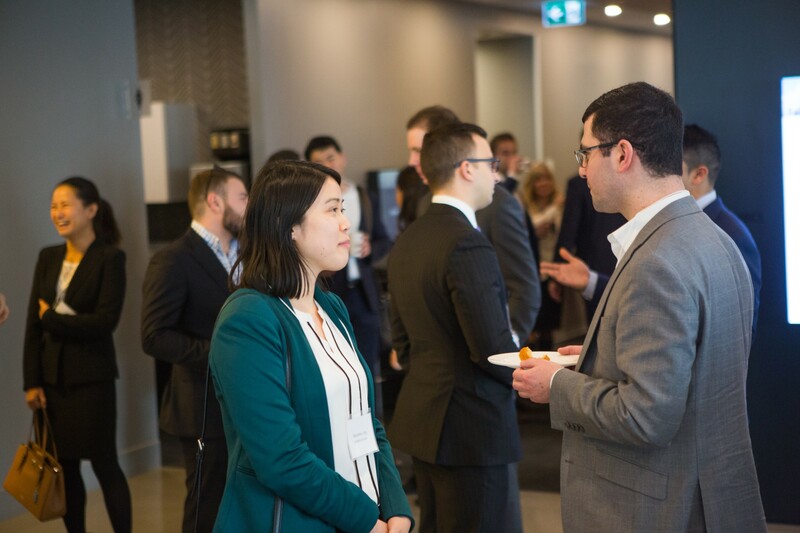 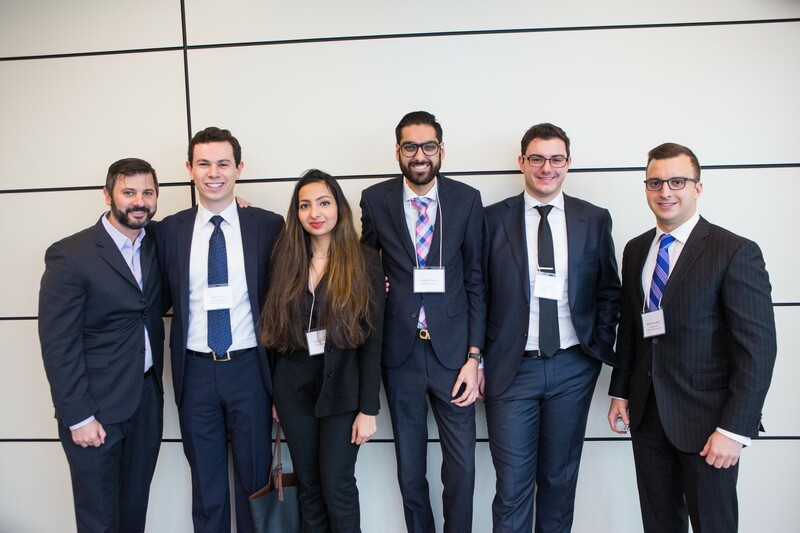 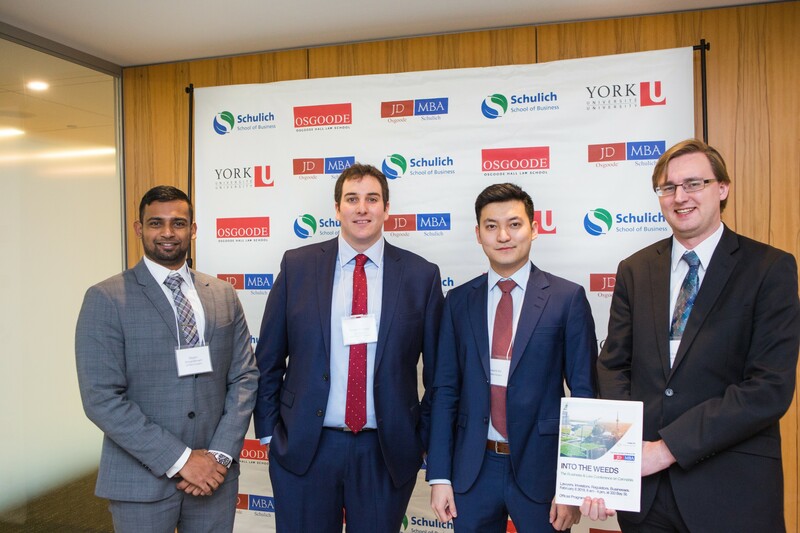 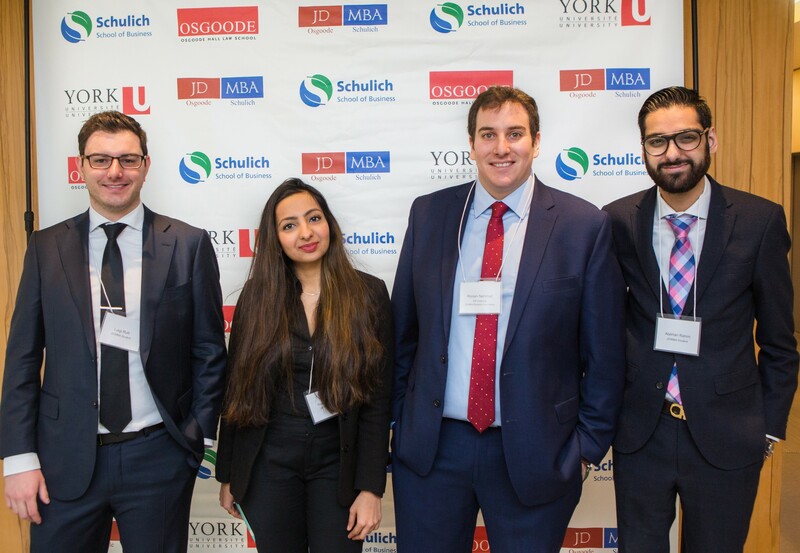 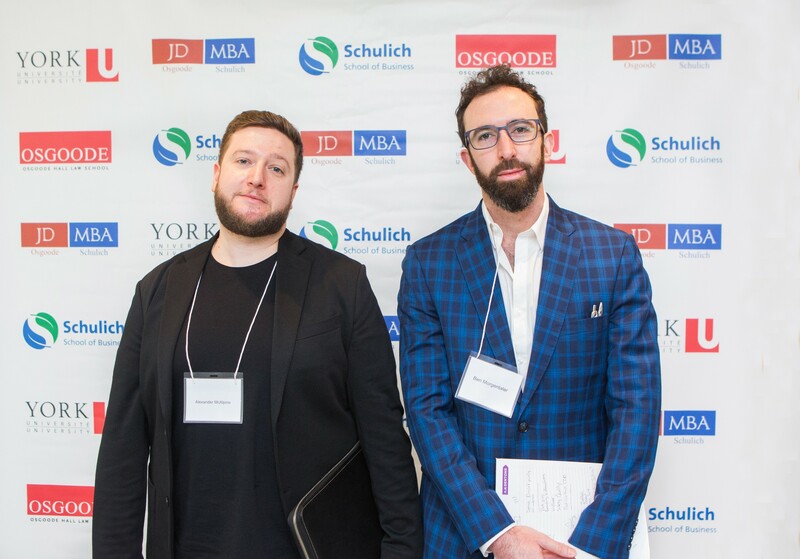 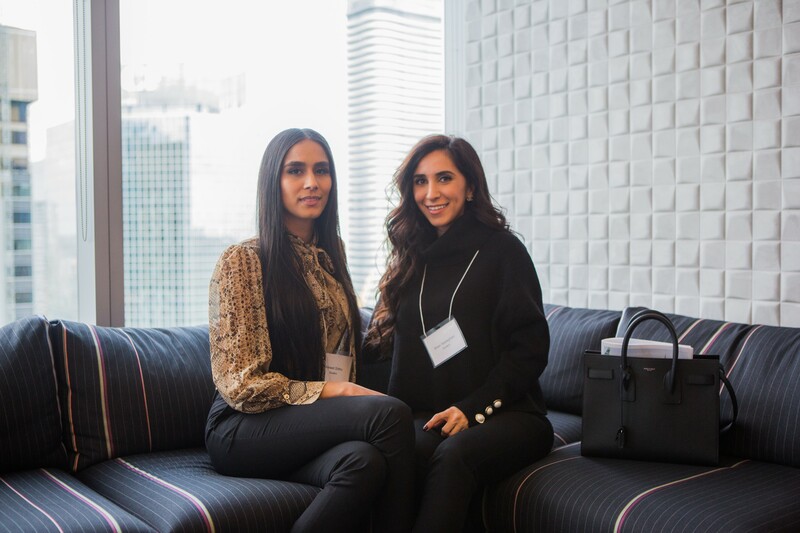 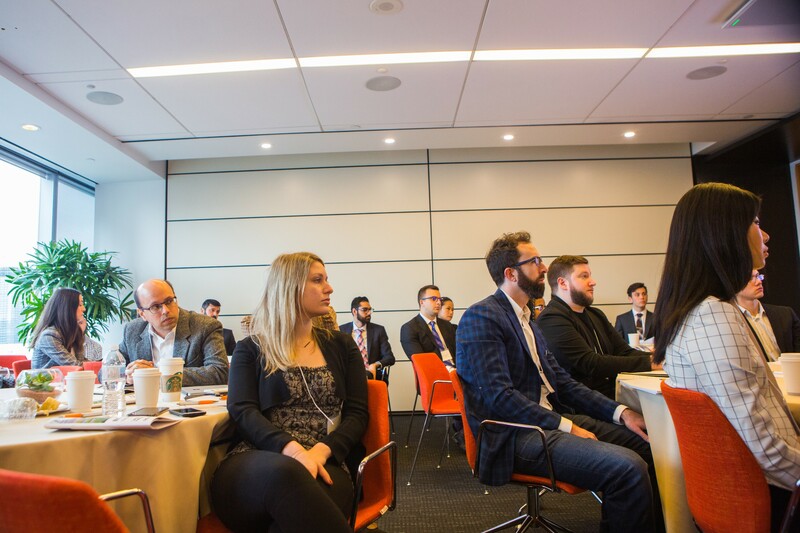 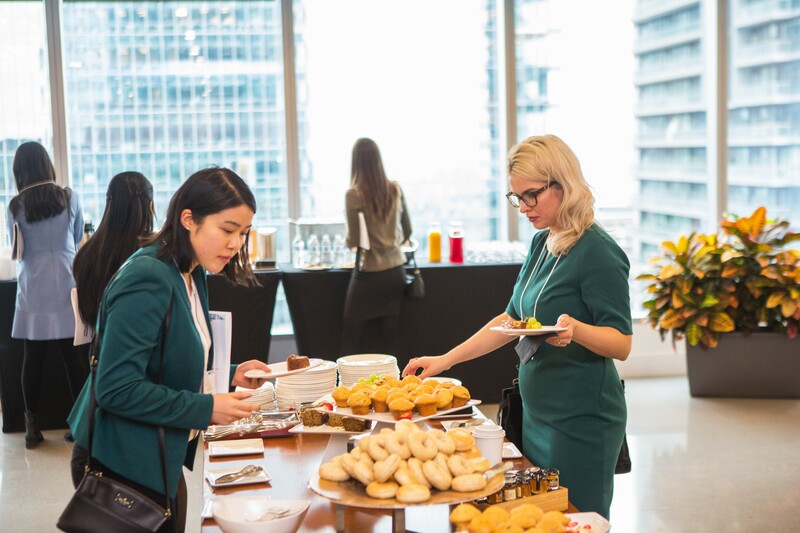 TORONTO, February 8, 2019 — the JD/MBA Student’s Association (“JMSA”) hosted their signature and highly anticipated event—the 22nd Annual Business & Law Conference—cleverly titled “Into the Weeds.” Evident from the name, the topic this year was the business and law of cannabis, which has been provoking much interest and debate in both the business and law communities since this new mega-industry came to be. 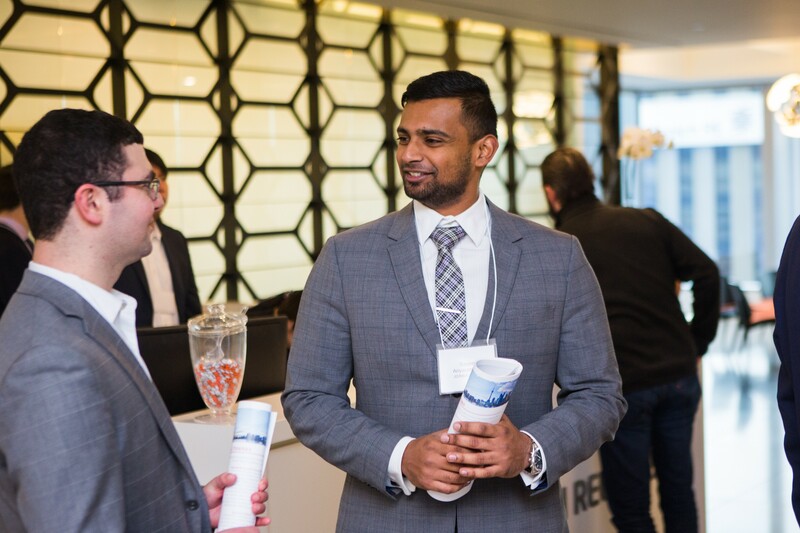 Speaking to Harpreet Grewal and Sean Walsh (conference co-chairs), it was sufficiently topical back when the theme was decided in August of 2018 and has only become a larger presence in the Canadian market ever since. 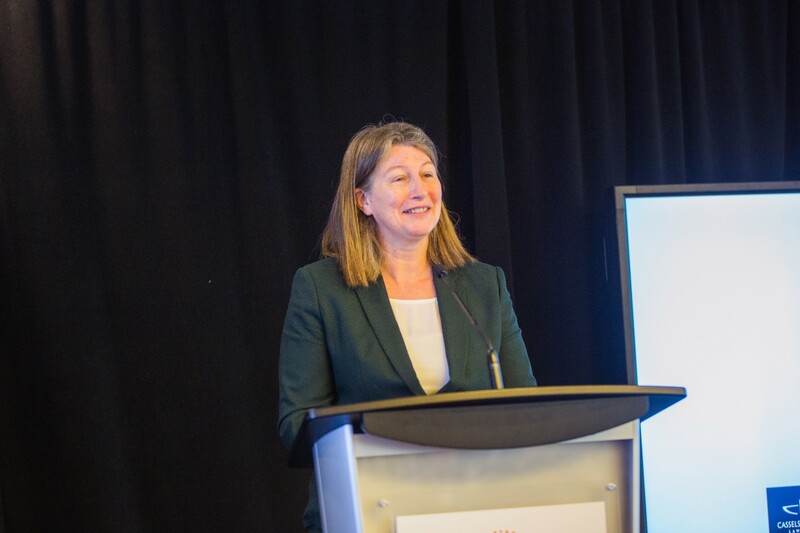 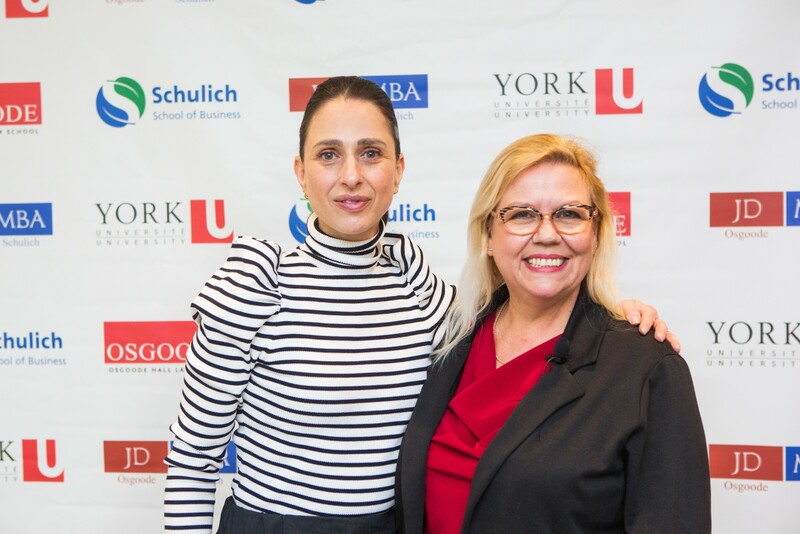 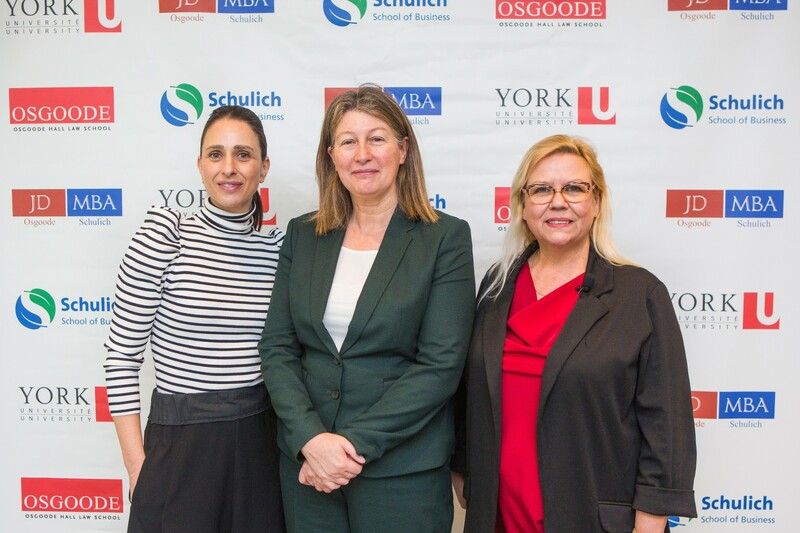 The Conference kicked off with opening remarks from the Dean of Osgoode Hall Law School, Mary G. Condon, followed by a keynote address from Co-CEOs of 48North Cannabis Corporation Alison Gordon and Jeanette VanderMarel. 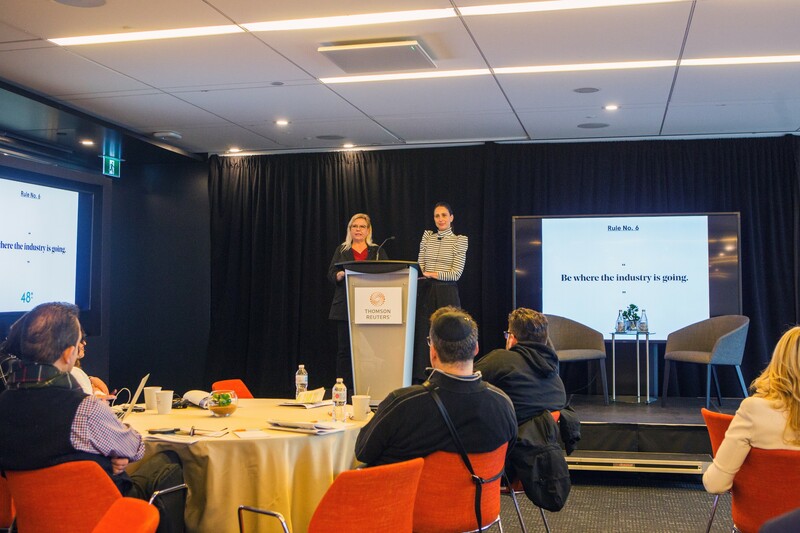 They spoke candidly about the industry, acknowledging the change in public attitude in a matter of years, explaining they “never thought they would see so many people wearing suits talking about weed.” Applicable to any industry, Jeanette talked about the importance of both passion and knowledge, drawing upon her own background in farming. 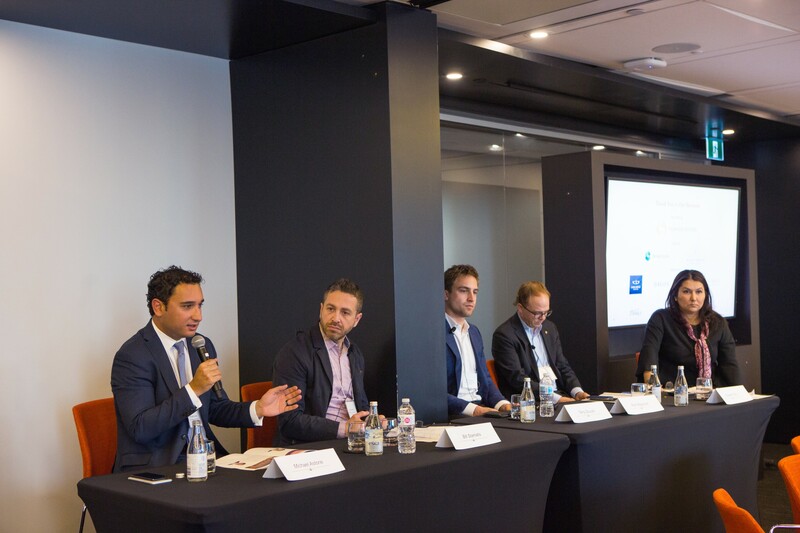 The CEOs also spoke about the importance of compatibility when selecting your business partners. 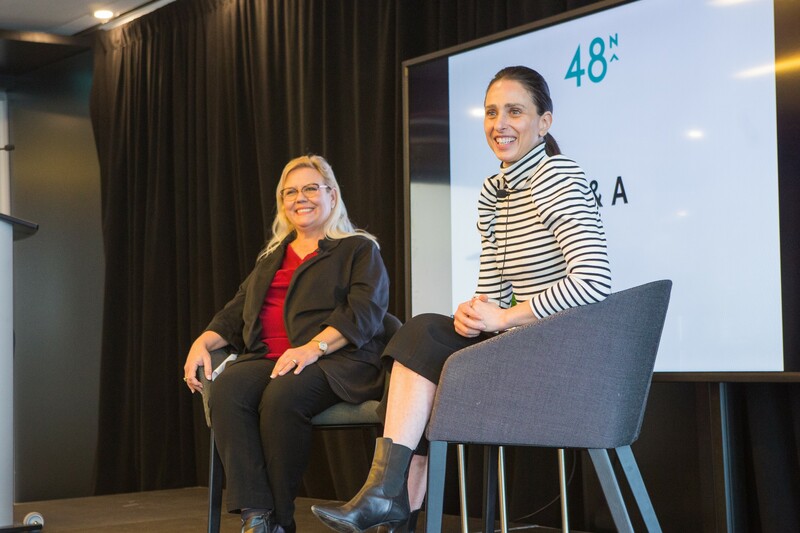 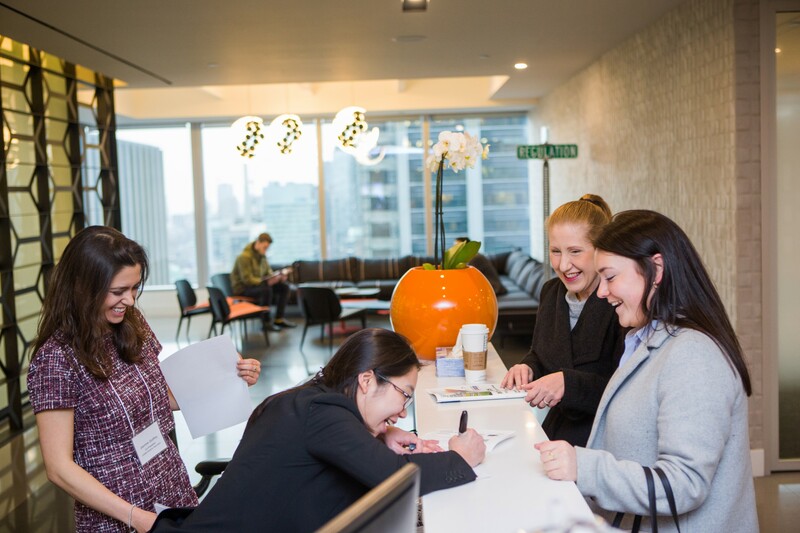 In the case of Alison and Jeanette, Alison brought the marketing expertise, whereas Jeanette had the experience in growing—while of course, they acknowledged the fact that they are two female CEOs in what is a male-dominated industry. 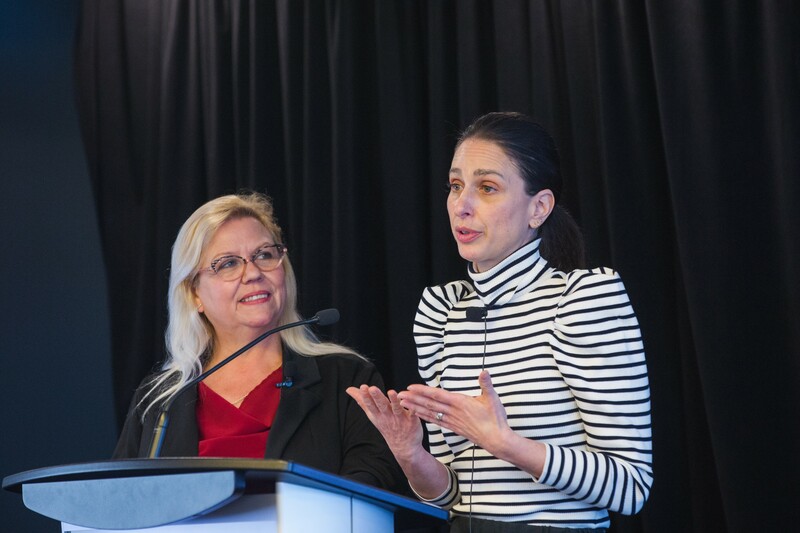 Their keynote address had the audience captivated, with a long Q&A session running around 45 minutes long with questions needing to be cut short as the session was running into overtime, demonstrating just how much abuzz the topic was among attendees. 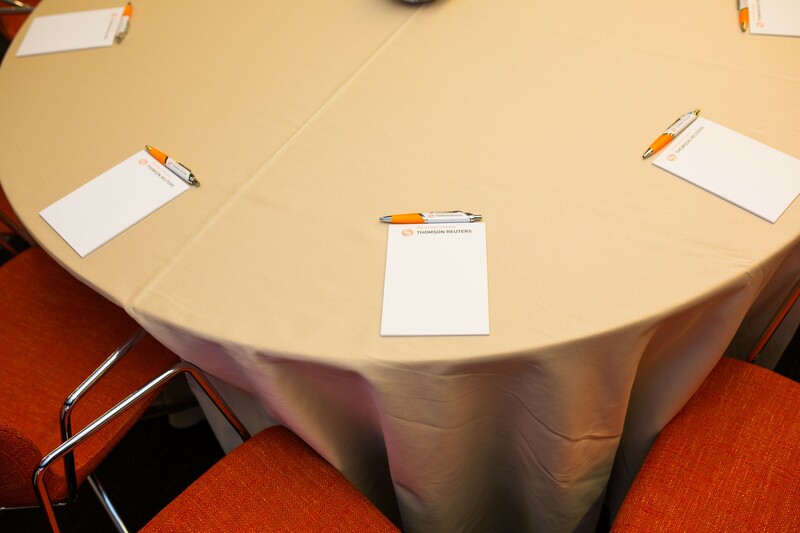 Following the morning excitements, guests were split up into two panels, selected by them in advance. 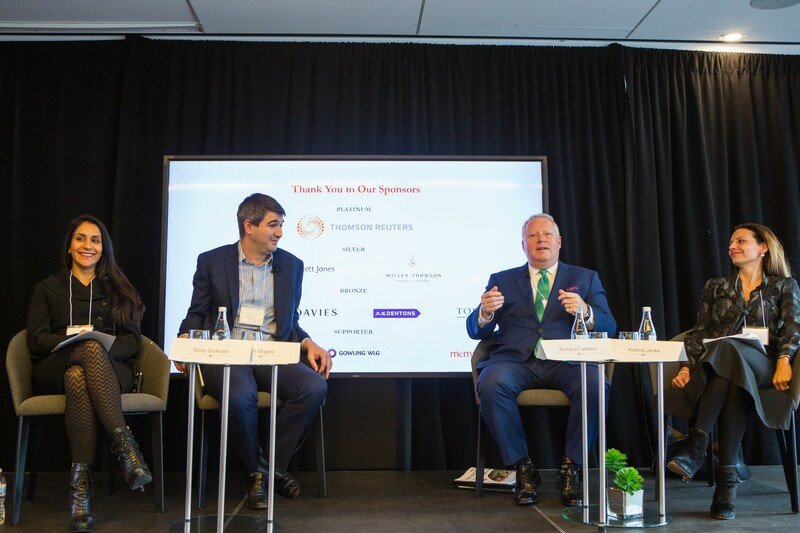 On the business side, “Investing in the Cannabis Market” explored growth of the cannabis industry and opportunities as well as threats associated with investing in the industry. 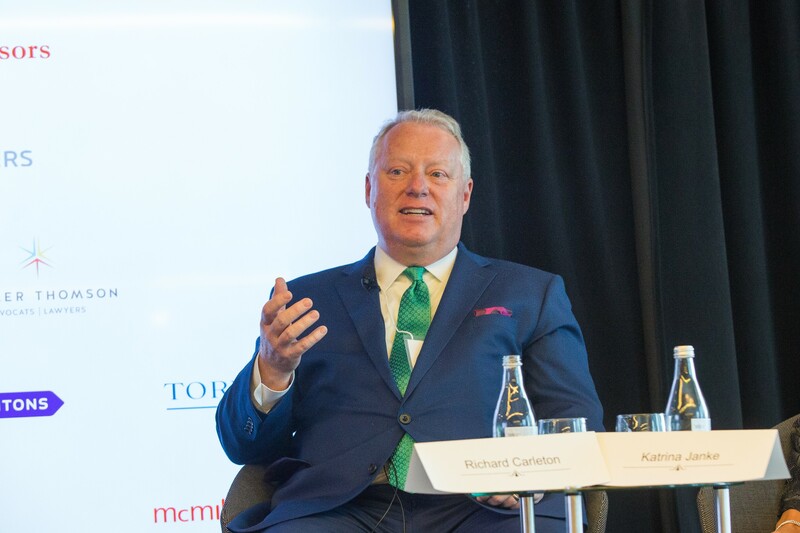 On the law side, the “Listing a Cannabis Company: Securities Regulation & Oversight” panel, notably featuring the CEO of the Canadian Securities Exchange, Richard Carleton, looked at cross-border listing, disclosure and valuation issues that have risen since cannabis has become a prominent fixture in the Canadian market. 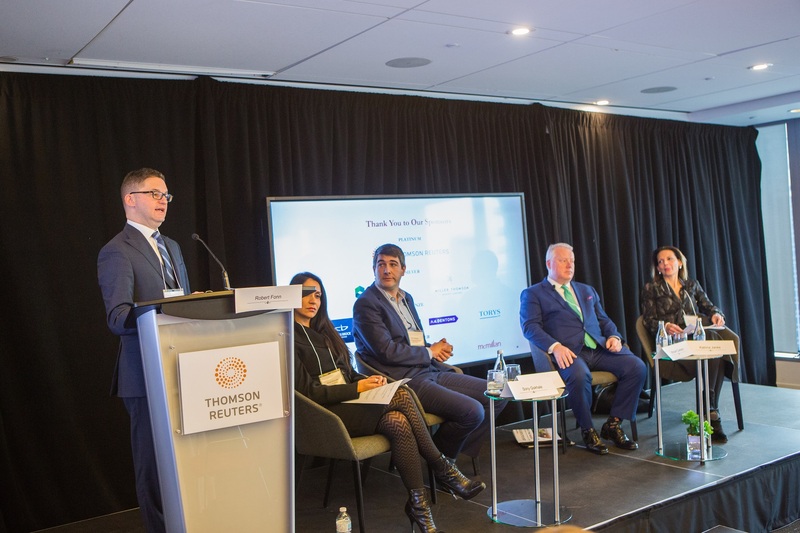 This panel heard some really interesting insights on the OSC and CSE and how these companies are going public. 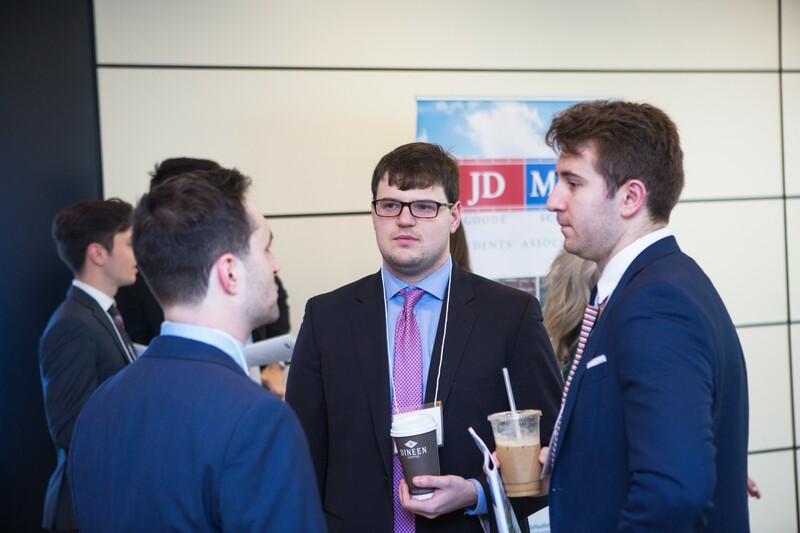 Each year, the Hennick Medal for Academic Excellence is awarded to recognize the top graduating student of the JD/MBA program with the highest cumulative GPA. 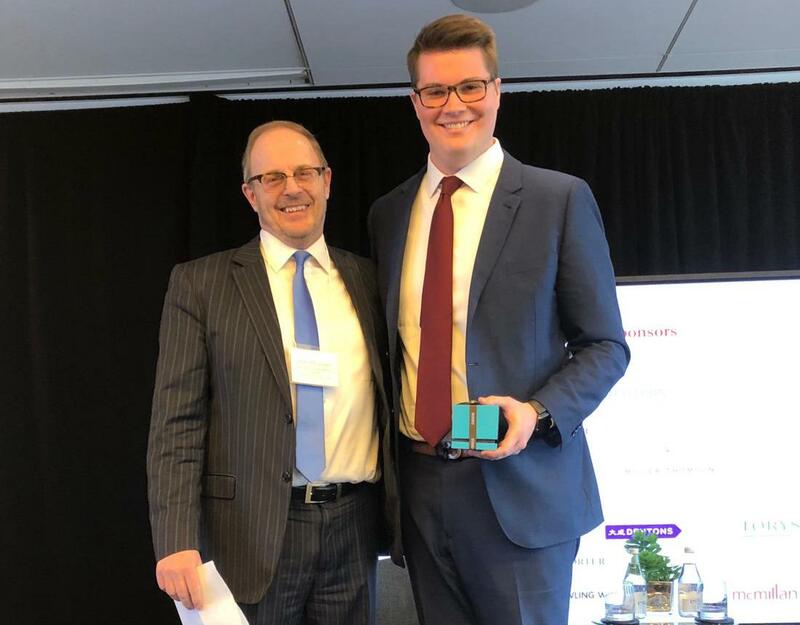 This year, the 2018 Medal was awarded to John Henderson. 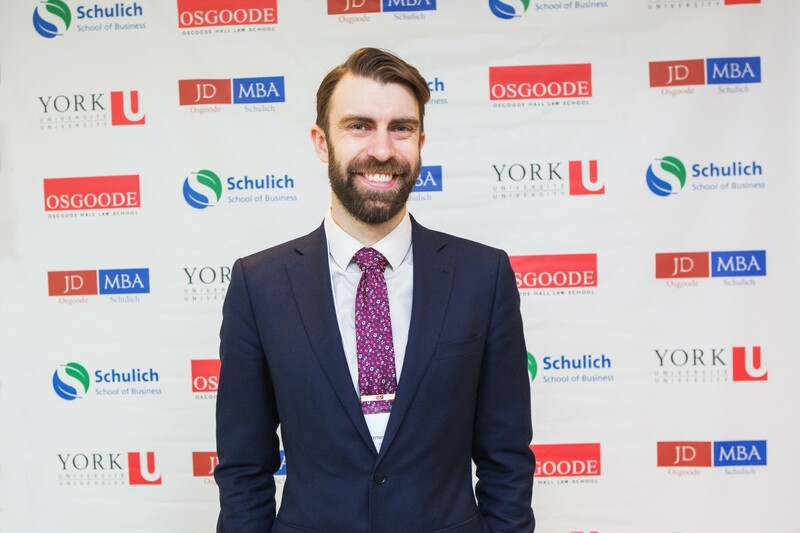 In addition to receiving the Hennick Medal for Academic Excellence in the joint program, he also received the Gold Medal at Schulich and the Bronze Medal at Osgoode. 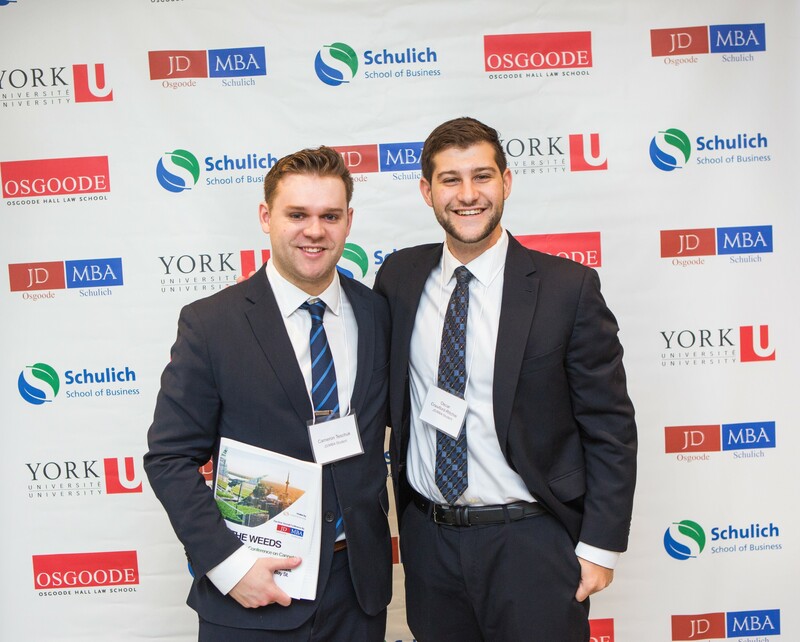 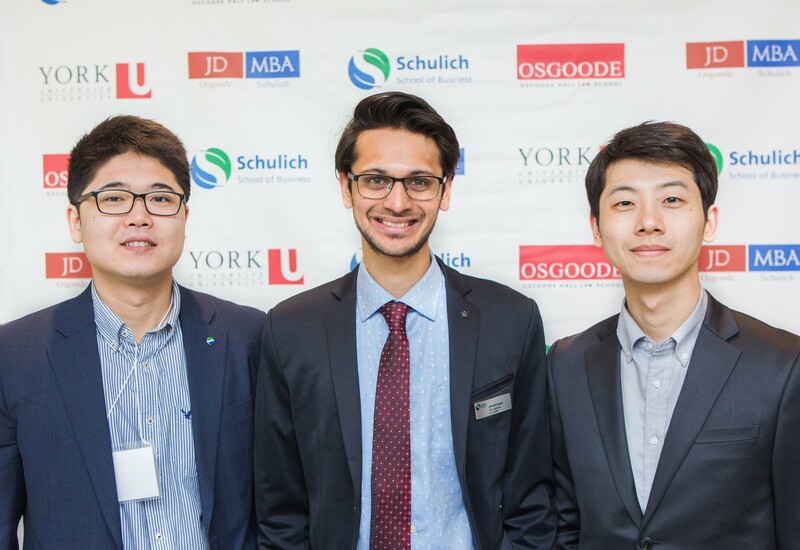 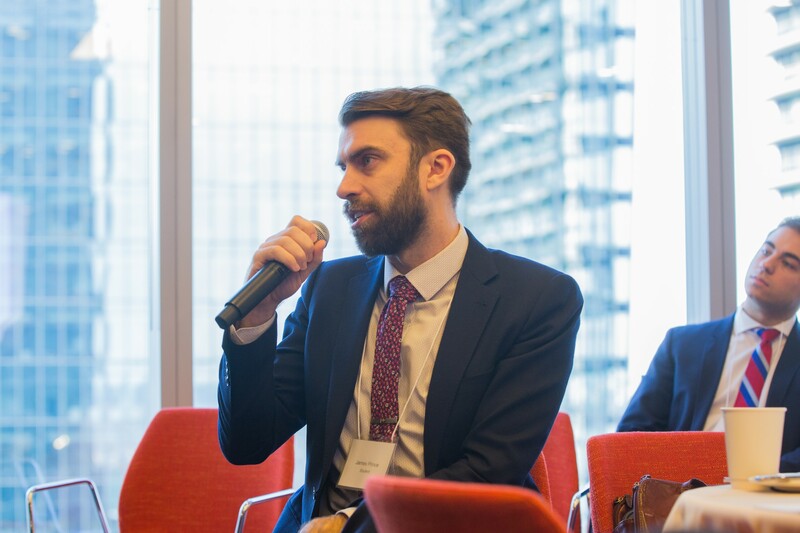 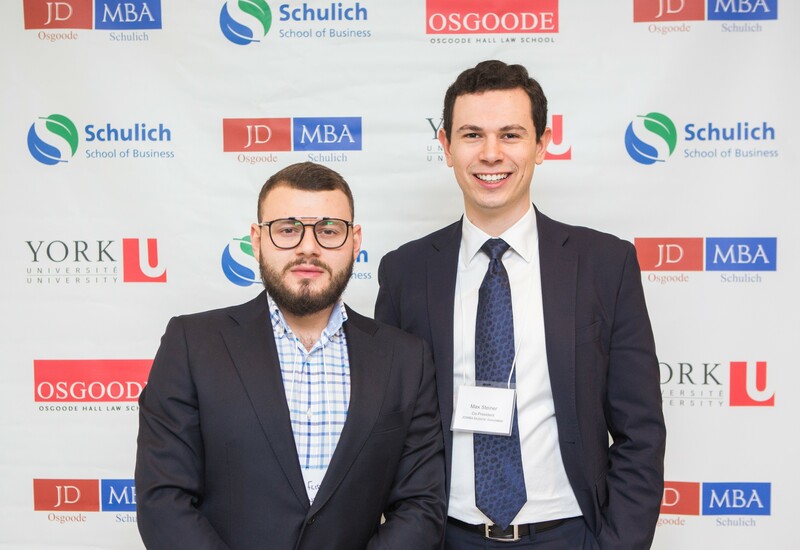 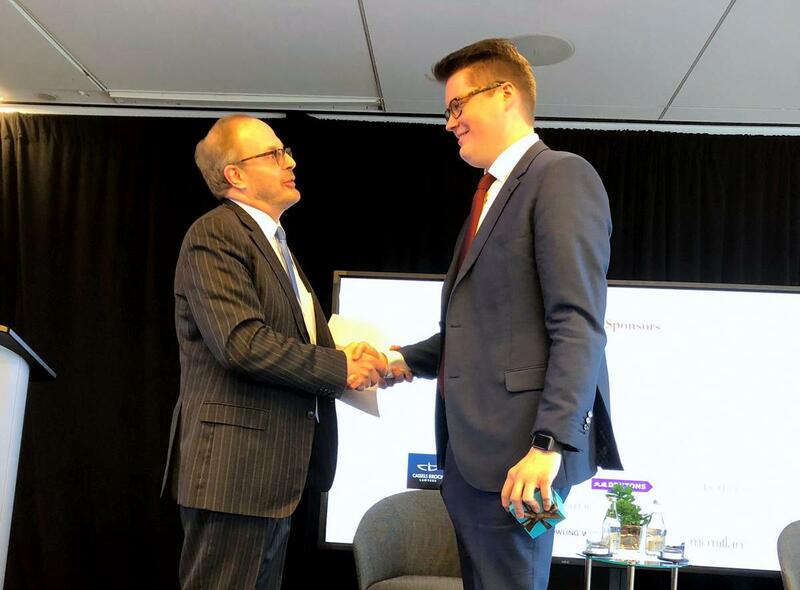 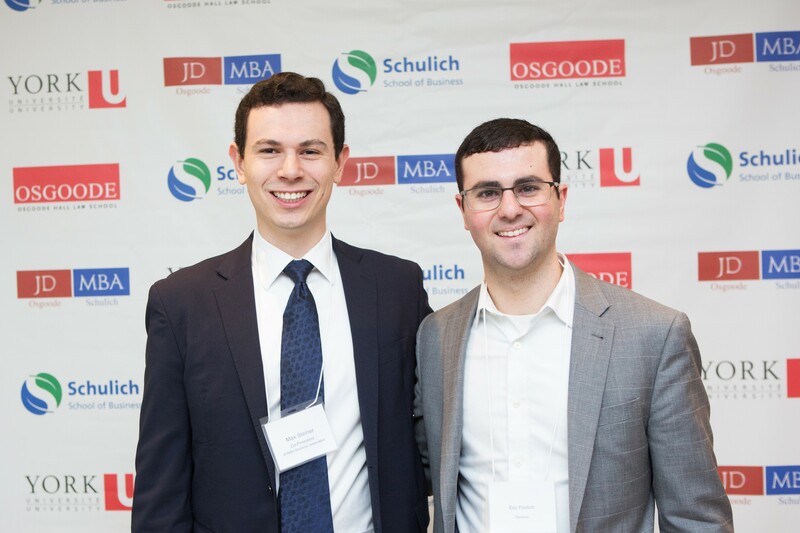 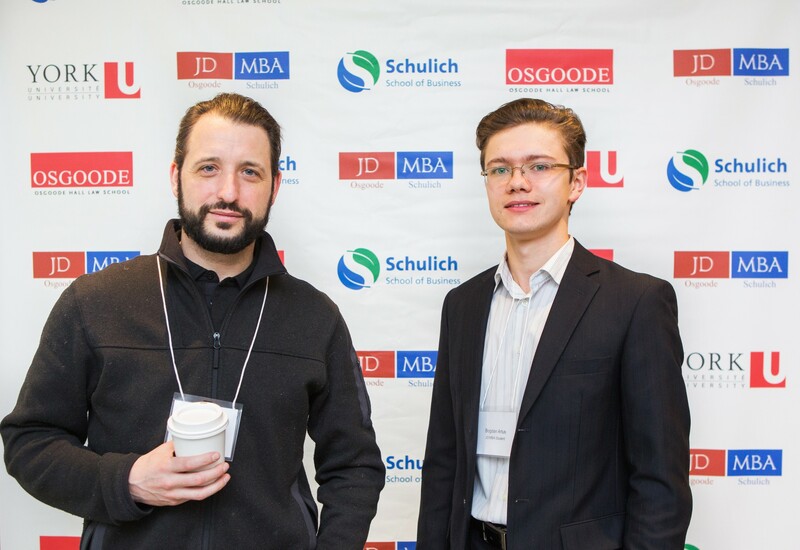 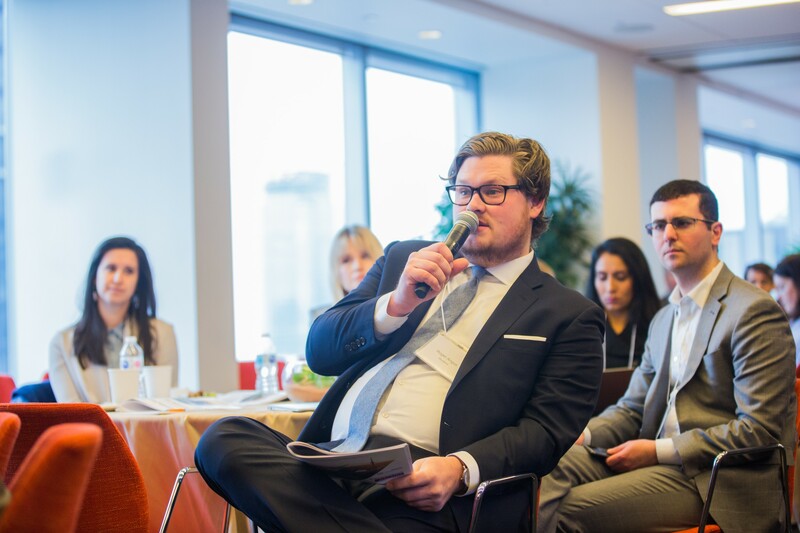 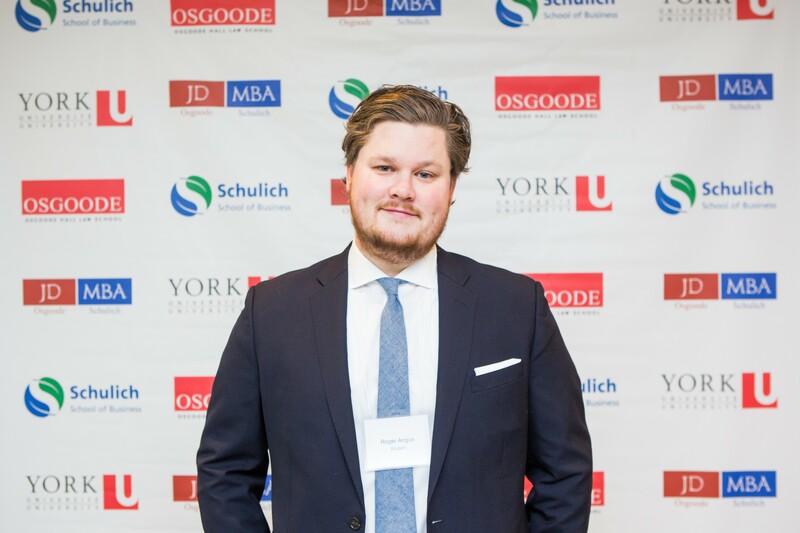 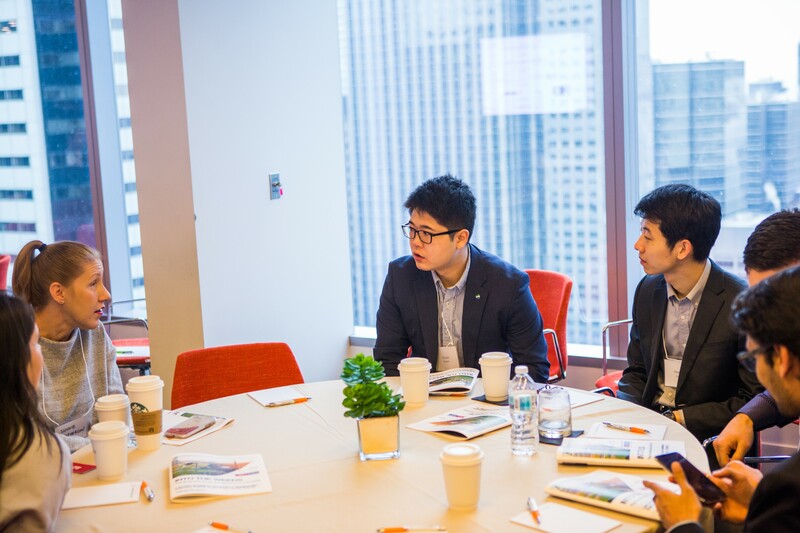 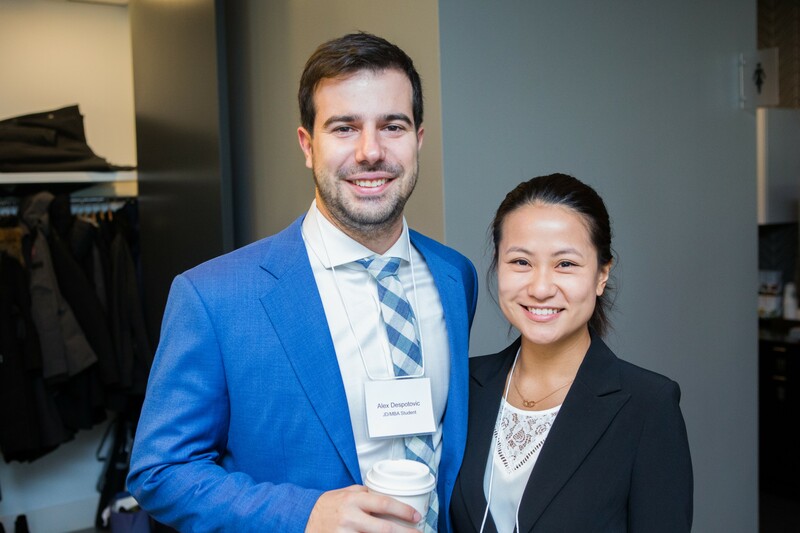 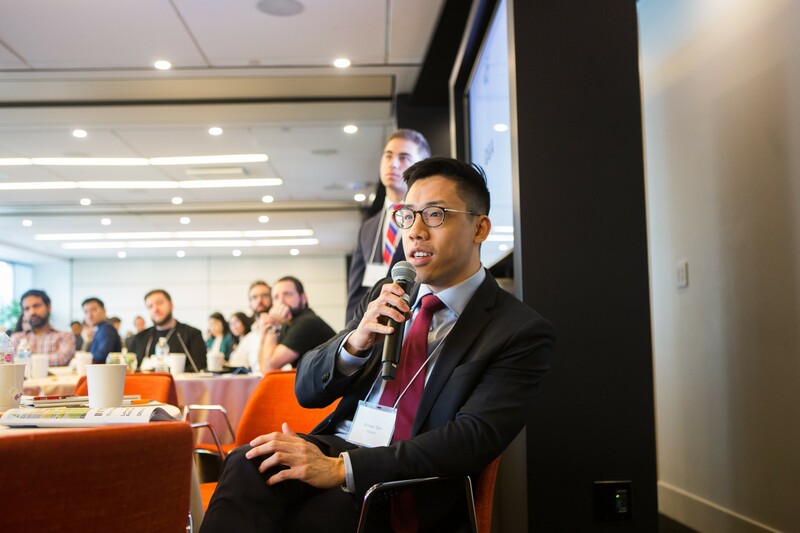 Notably, while in the program, John was a senior casework for the Osgoode Business Clinic and a consultant to an Israeli cyber security firm through the Global Leadership Program. 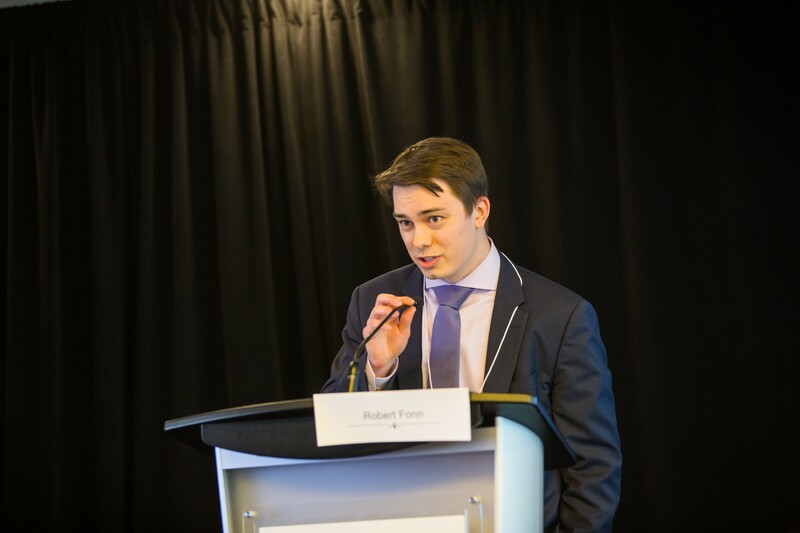 He is currently an articling student at Stikeman Elliott LLP, pursuing a career in corporate and securities law. 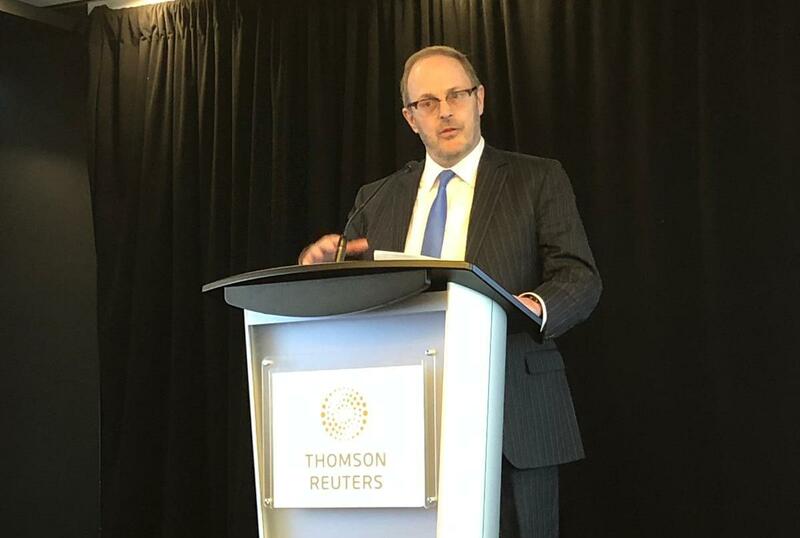 Following the awards ceremony, Phillip Shaer, Canopy Growth Corporation’s Chief Legal Officer, delivered the second keynote address of the day, touching on the importance of risk taking. 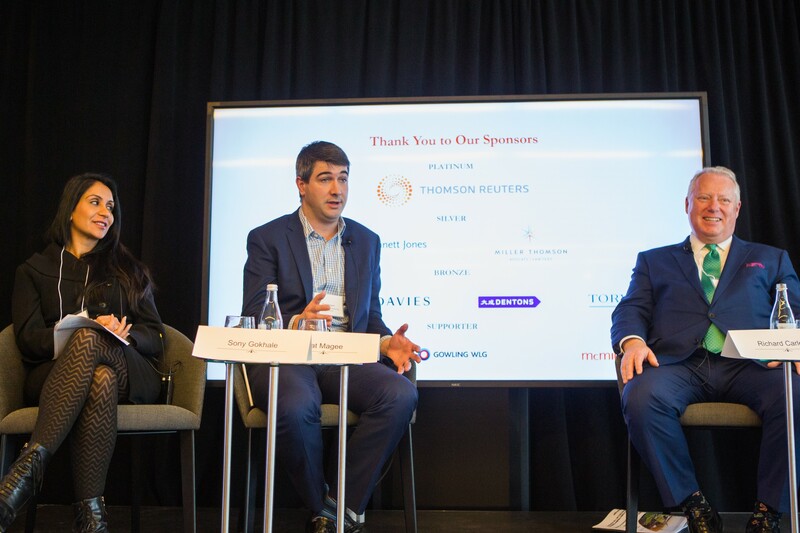 Just as guests were split up into two panels in the morning, so too in the afternoon they had a choice between a business or law panel. 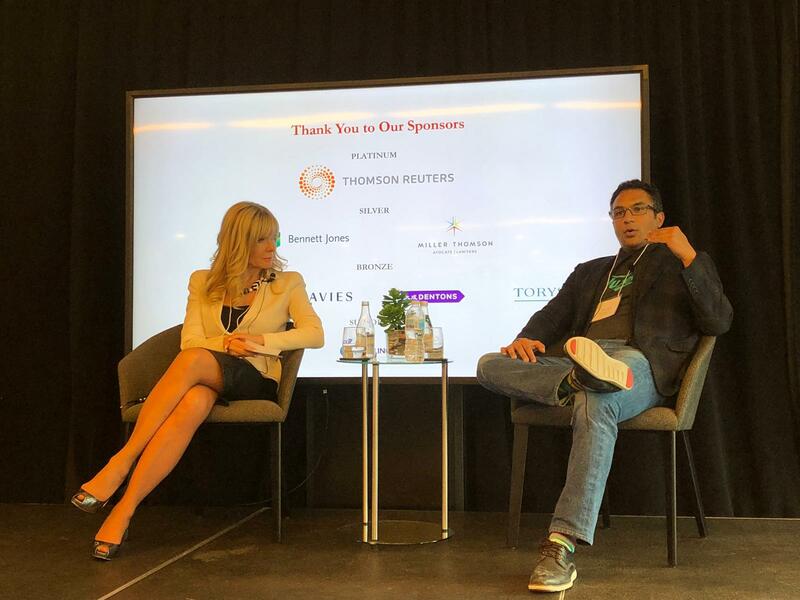 The business panel, “Marketing and Branding Cannabis,” featuring interesting speakers like Eric Williams—brand manager at Tweed—was stimulating. 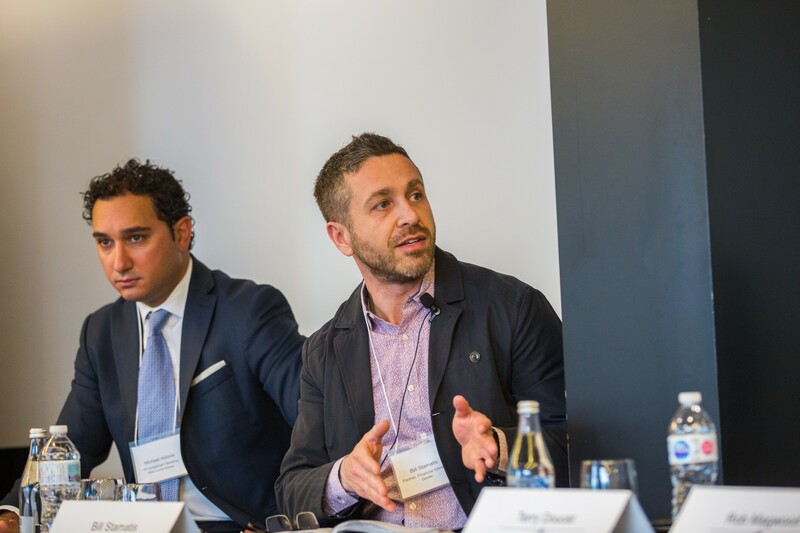 Not only did the panelists discuss bans on traditional advertising, but they also addressed how companies can build their brands despite current restrictive legislation. 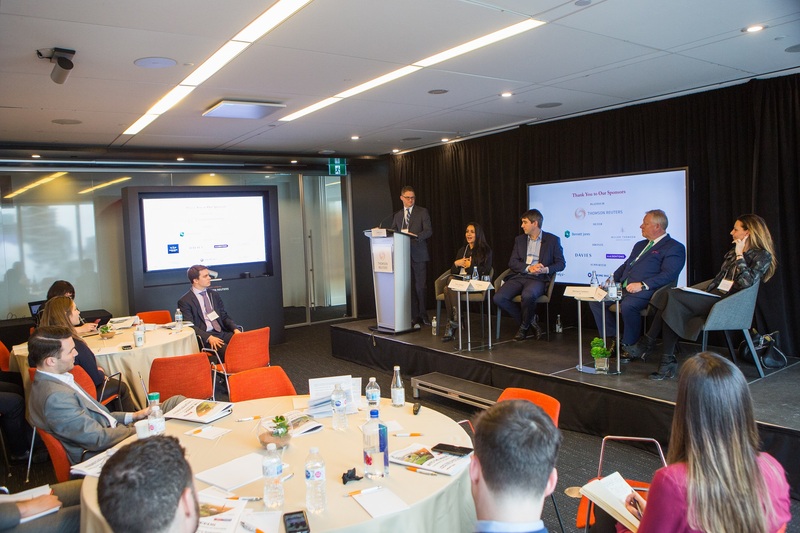 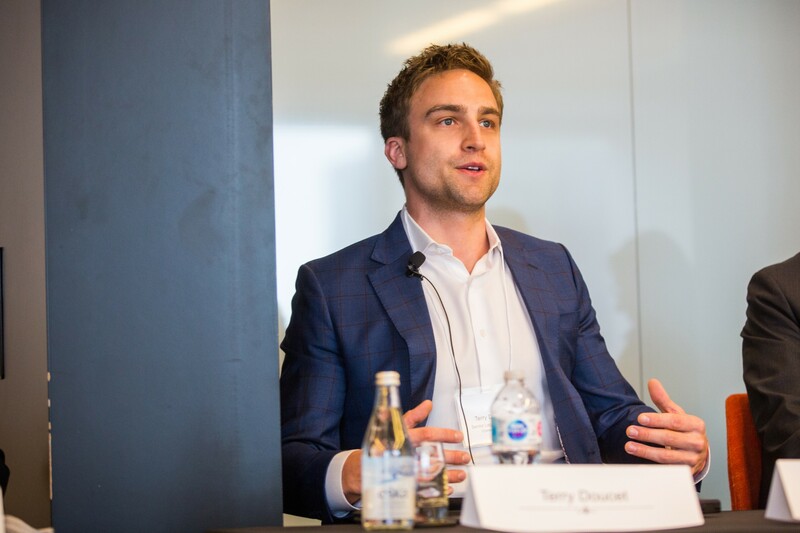 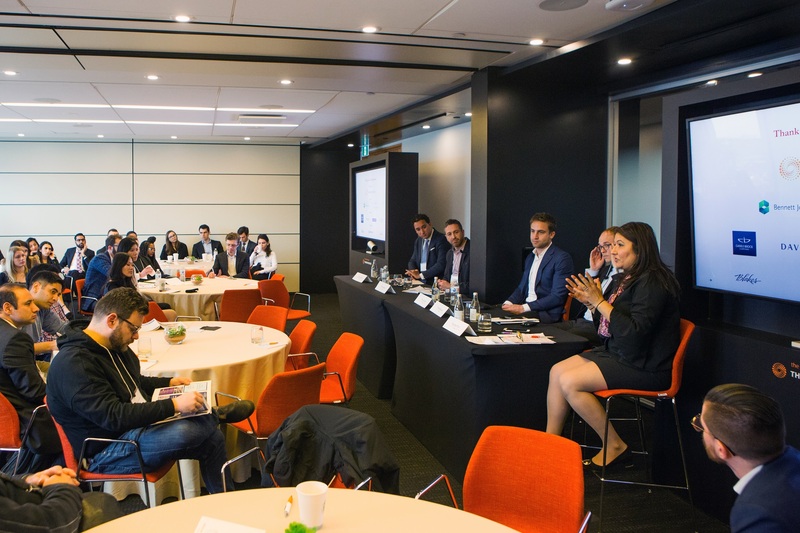 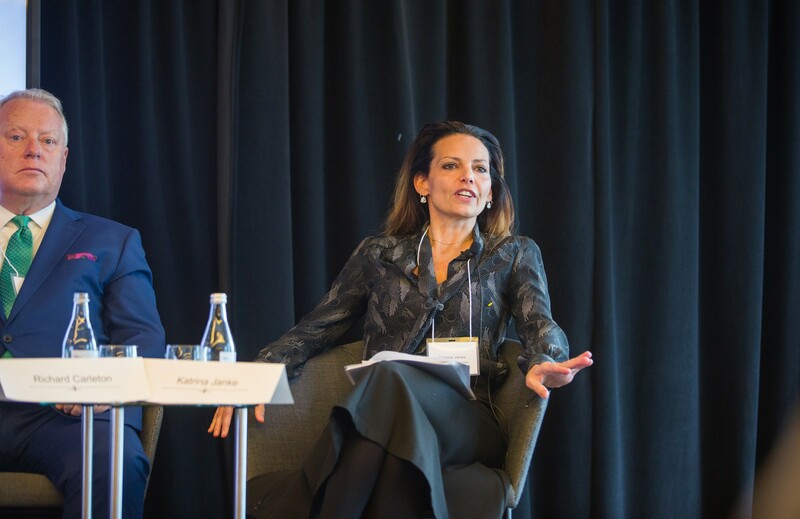 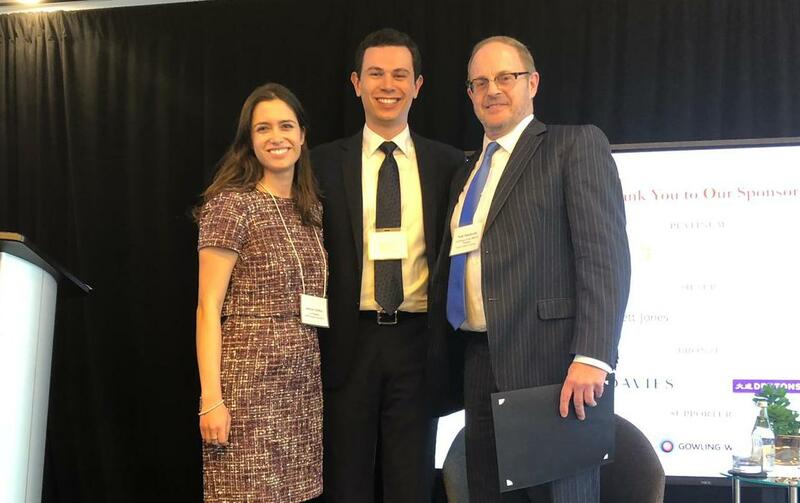 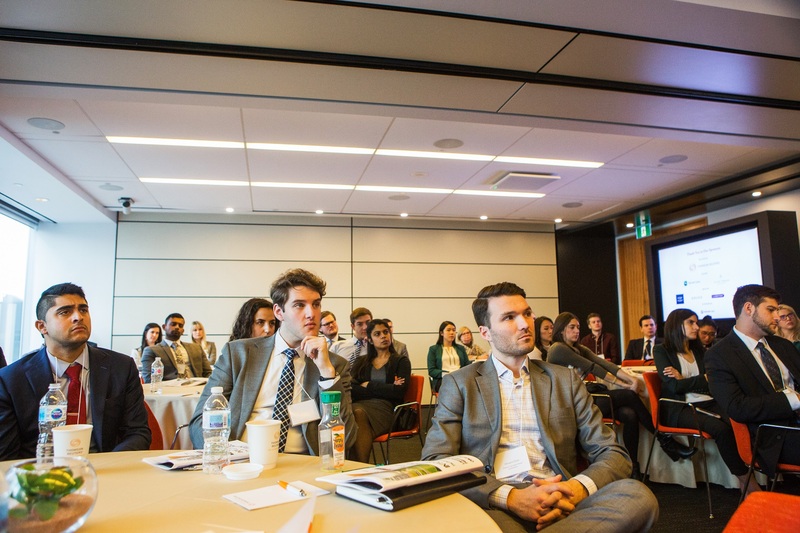 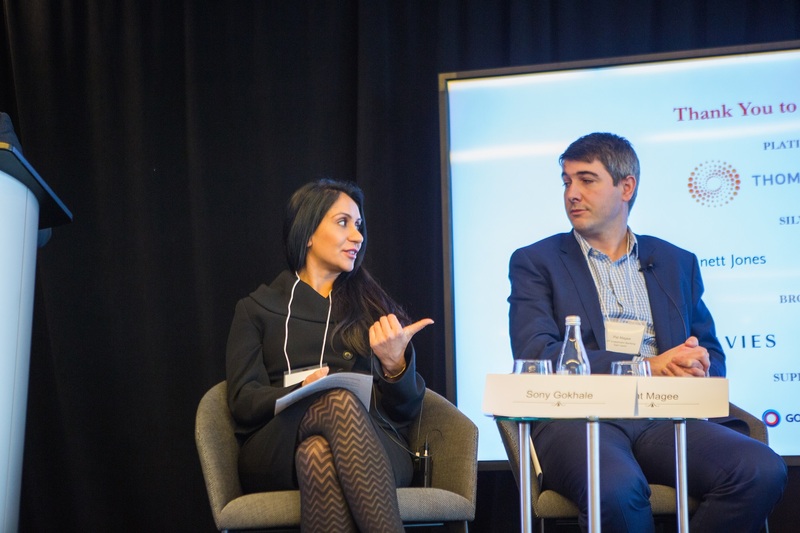 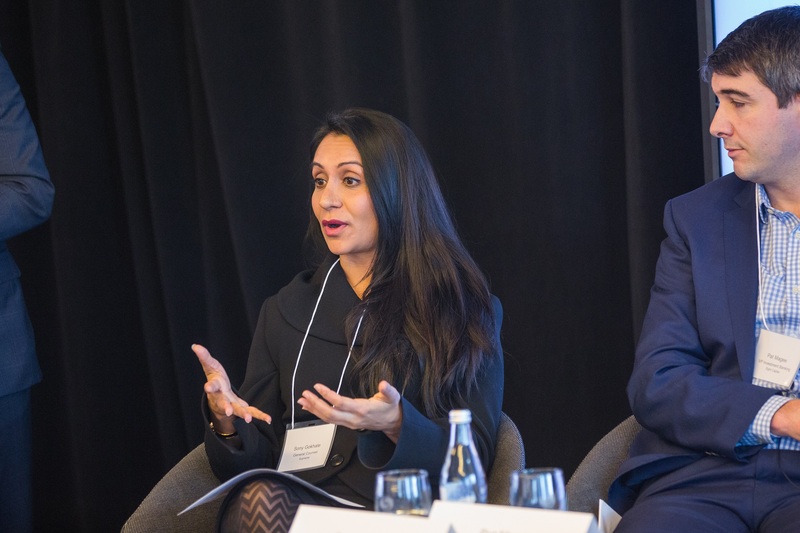 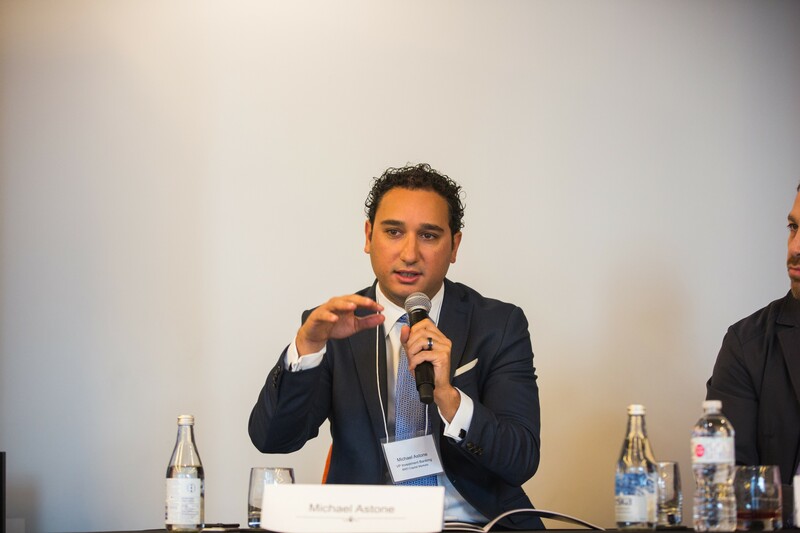 On the law side, the “Growth Opportunities and Risks for Law Firms,”—especially of interest to students and articling student attendees planning on pursuing a career in law—discussed the risks Canadian lawyers face as their affiliated law firms capitalize on the cannabis industry, such as traditional stigmas harming reputation as well as cross-border travel implications. 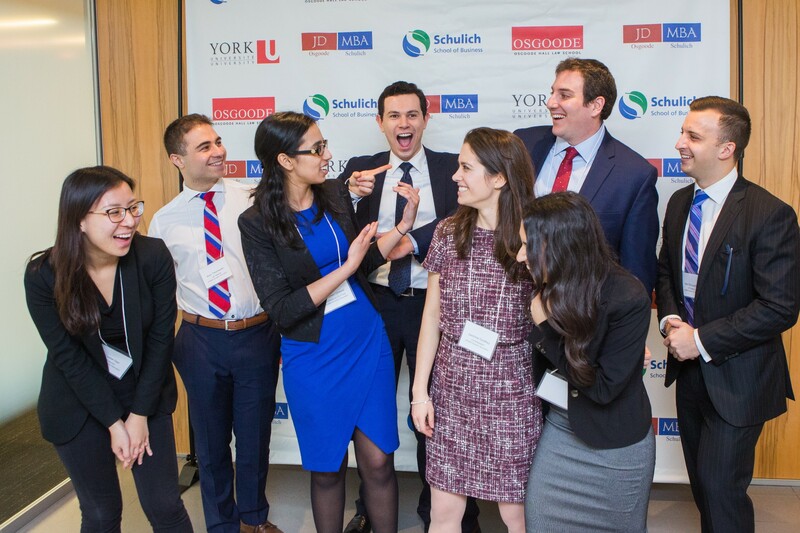 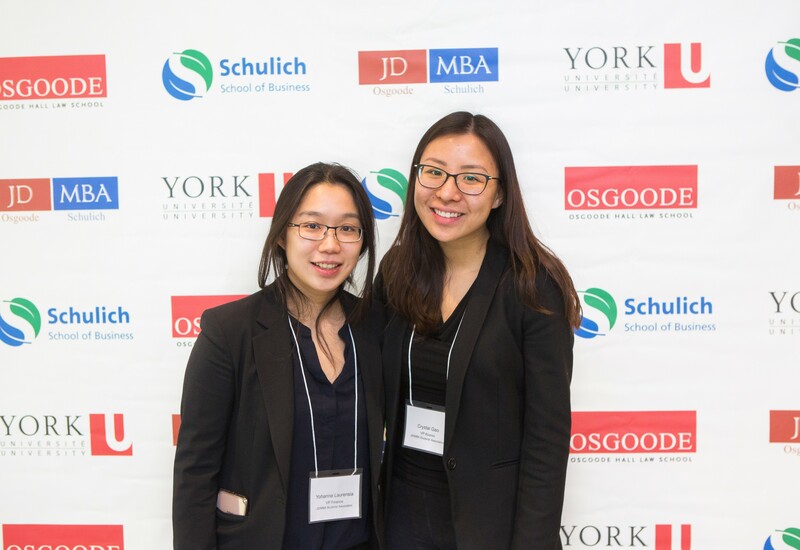 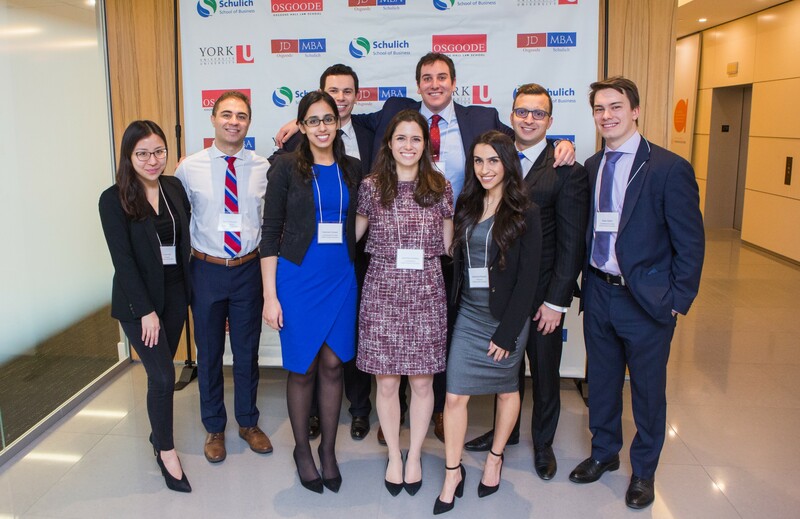 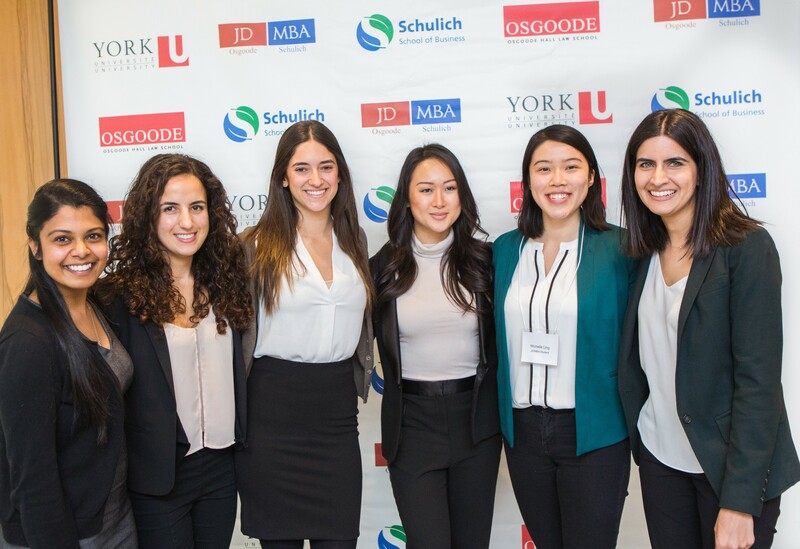 This year’s conference also announced a brand-new Award for the JD/MBA Osgoode/Schulich student community! 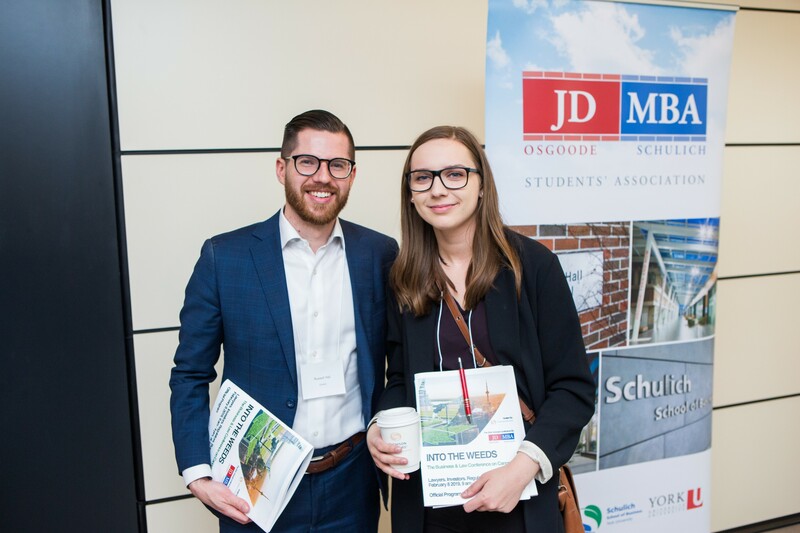 The 2018/19 Co-Presidents of the JMSA—Jasmine Godfrey and Max Steiner—announced the launch of a new JD/MBA Students’ Association’s Leadership Award. 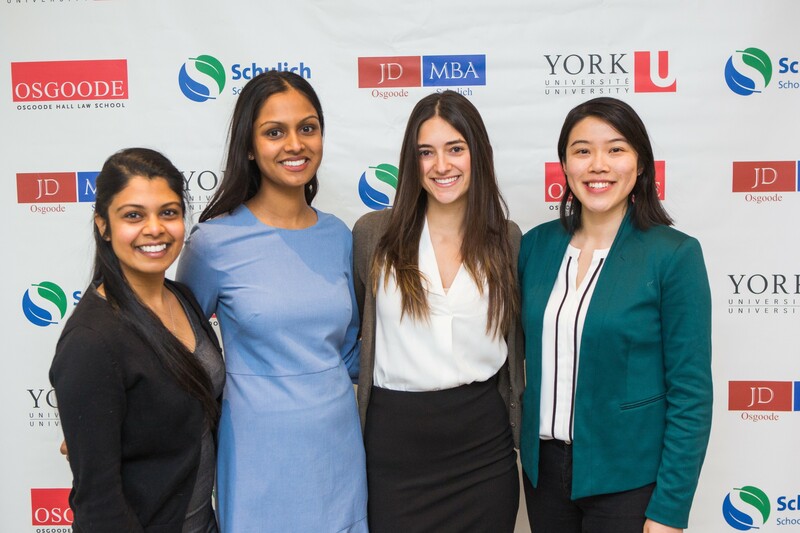 Thanks to this year’s very generous sponsors, successful marketing efforts, and careful accounting, the JMSA amassed enough excess funds to put into a Students’ Association Leadership Award fund which will be continued for the next three years—in the award amount of $1,500—with the option to renew. 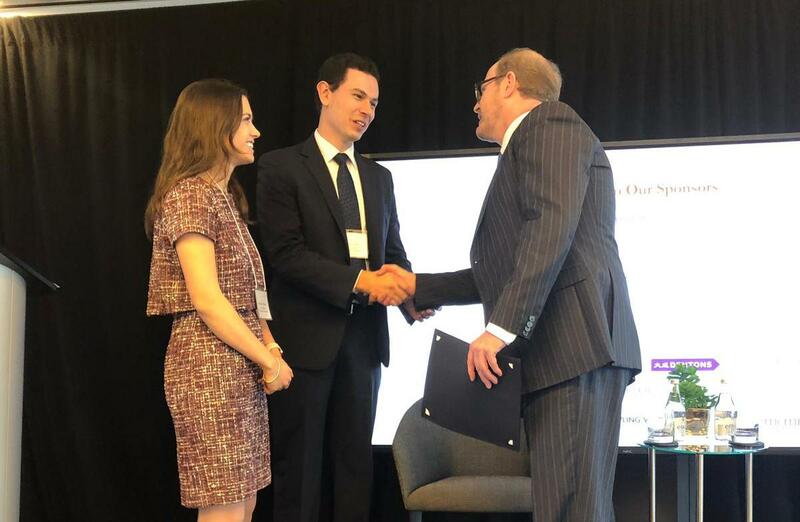 The Award is meant for a returning student who has served as an executive committee member on the JMSA either presently or in a previous year. 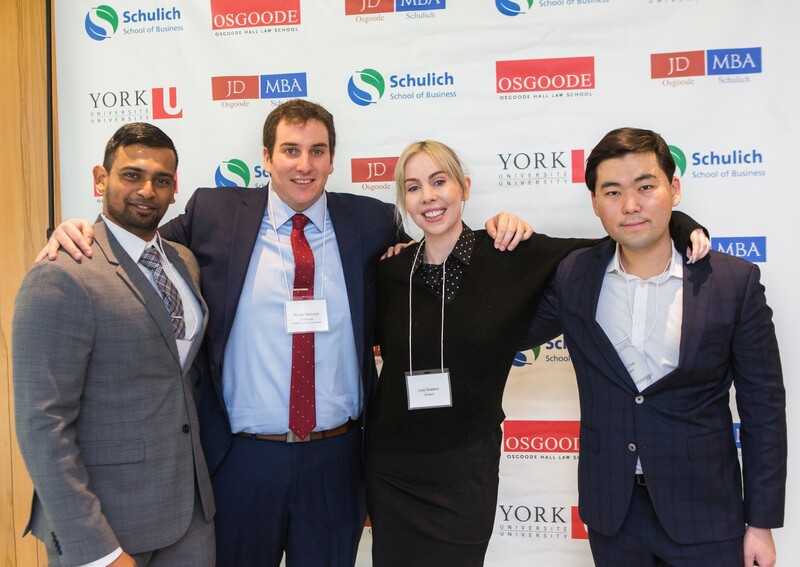 The purpose of this award is to recognize exceptional leadership and contribution to JD/MBA student life; through implementation of innovative events such as the conference, as well as other efforts in fostering relationships between students and alumni in law and business as well as internally among JD/MBA students. 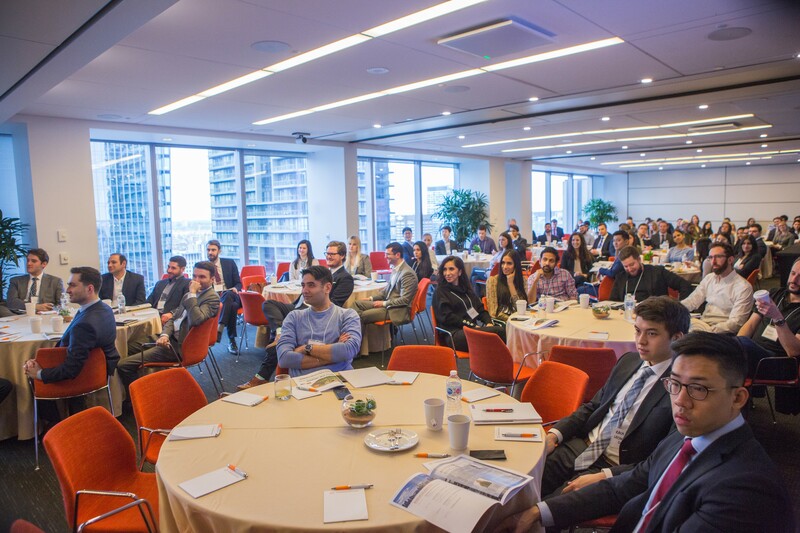 The hope is also to encourage future JD/MBA student leaders to harness their potential to contribute. 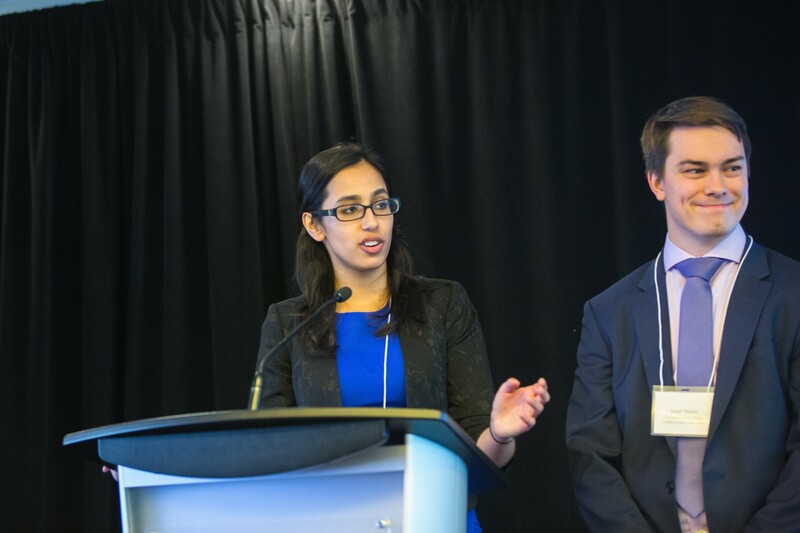 Jasmine and Max proudly acknowledged the Co-Directors of the JD/MBA program, Peter Macdonald and Ed Waitzer, for their enthusiasm, guidance and willingness to give back—as the Award was named “The Peter Macdonald and Edward Waitzer JD/MBA Students’ Association Leadership Award” in their honour. 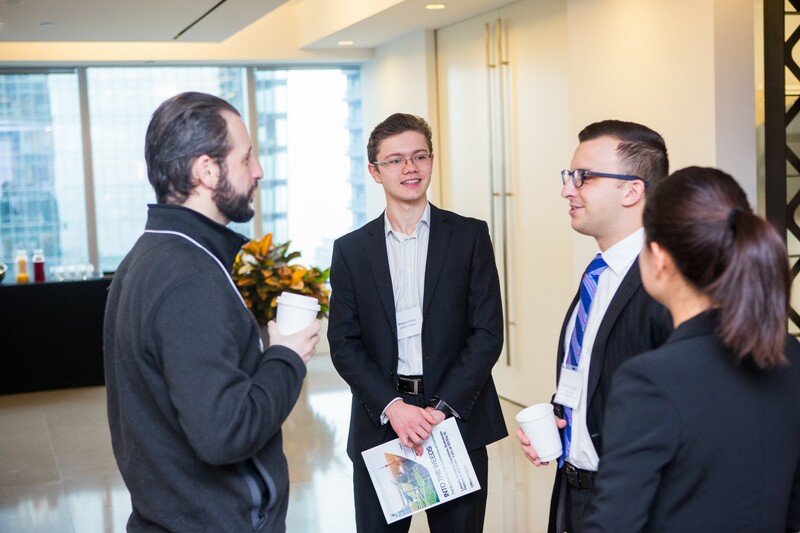 On their way from the Conference to the pub for the post-conference social, attendees were handed out gift bags. 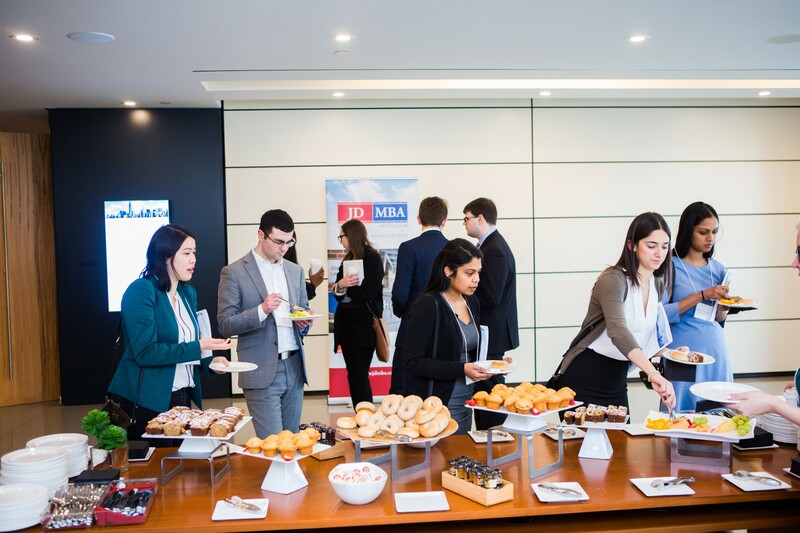 This year, the gift bags had some extra special flourishes from our sponsor firms, such as metal straws from Bennett Jones and gourmet chocolates from Davies. 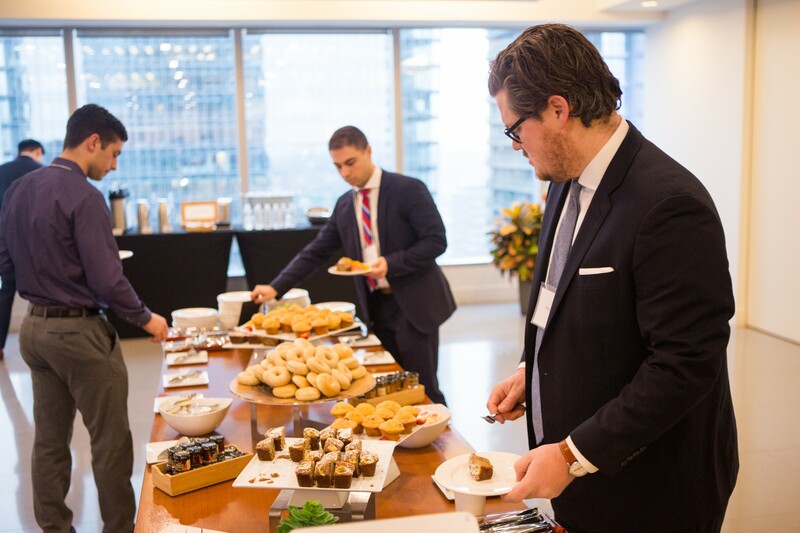 But perhaps the highlight of the gift bags was the cannabis leaf-shaped cookies. 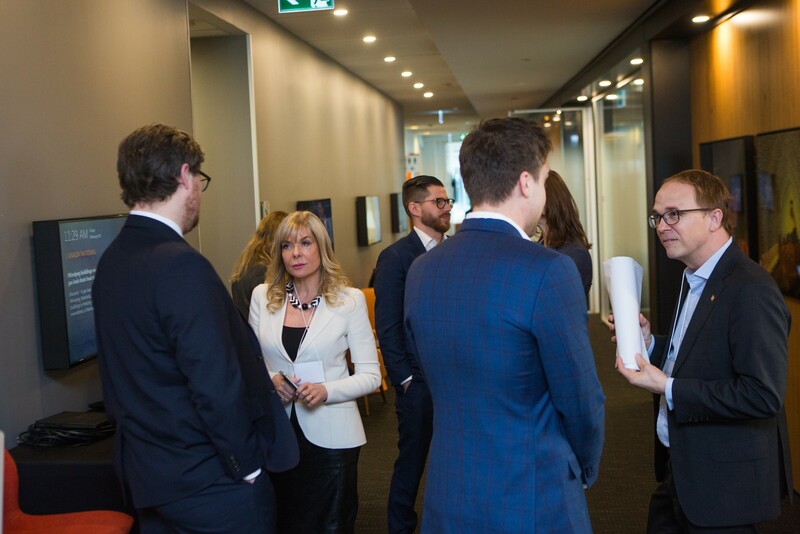 Feedback from guests was encouraging, and many appreciated the broad coverage of the topic as well as the expertise of the speakers. 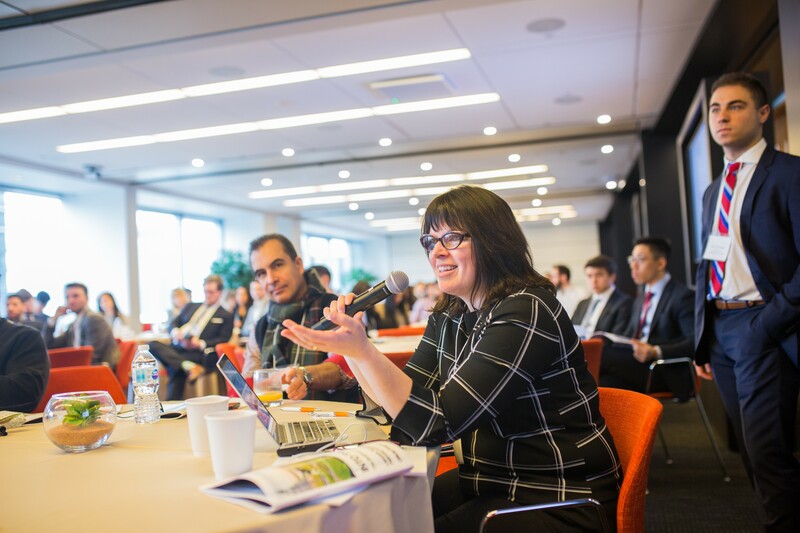 As always, thank you to our sponsors, speakers, organizers, and attendees. 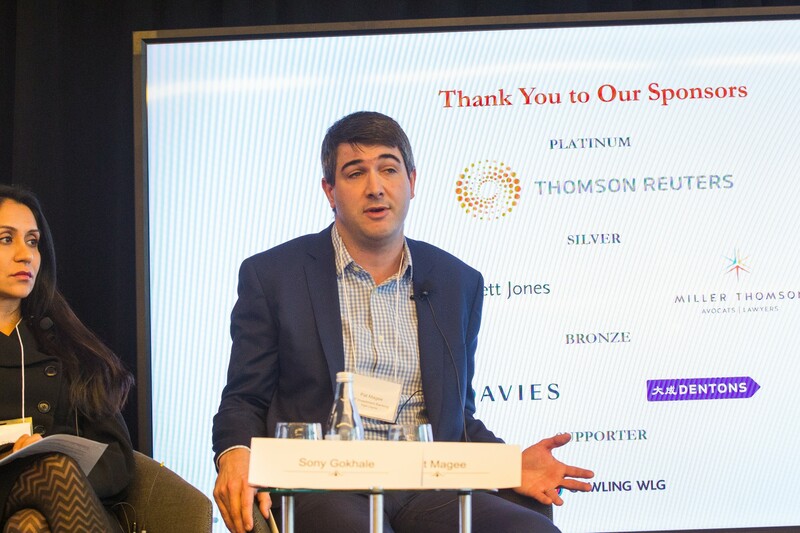 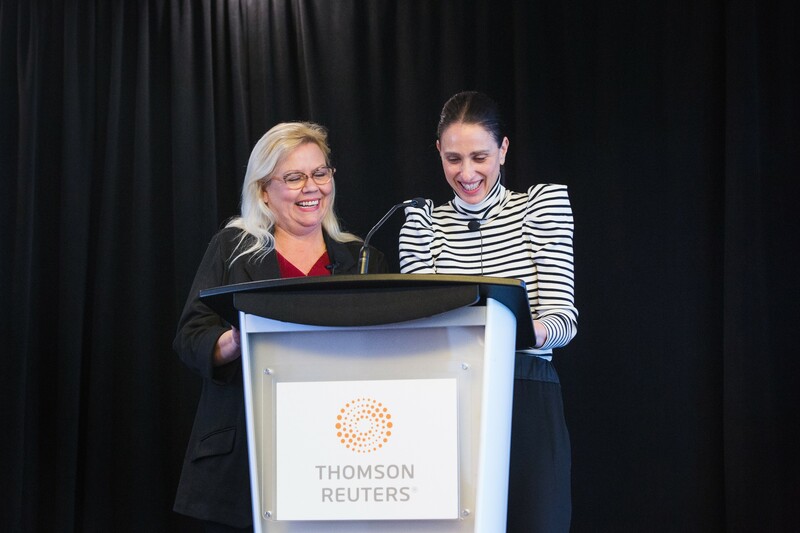 For the third year in a row, Thomson Reuters—our Platinum Sponsor—welcomed us at 333 Bay St, and supported event logistics which allowed the team to focus on sourcing top keynotes and speakers, as well as ensuring that panels ran smoothly by facilitating discussions among the speakers and moderators in advance of the conference. 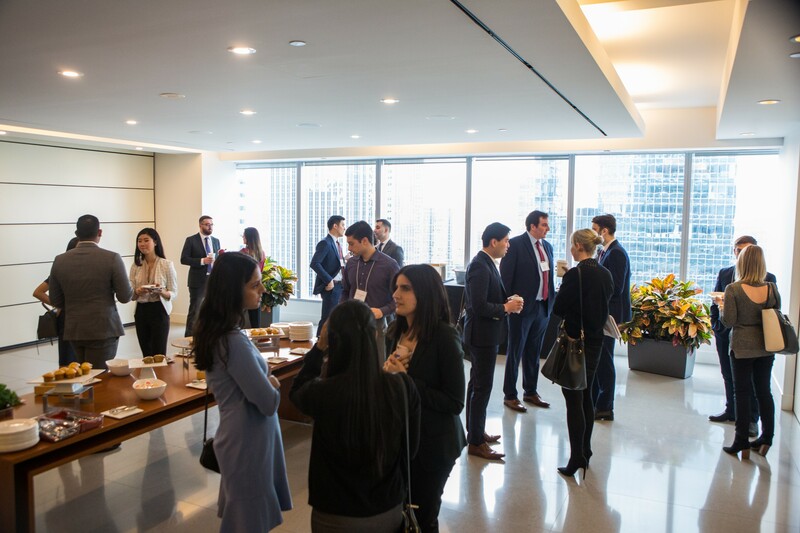 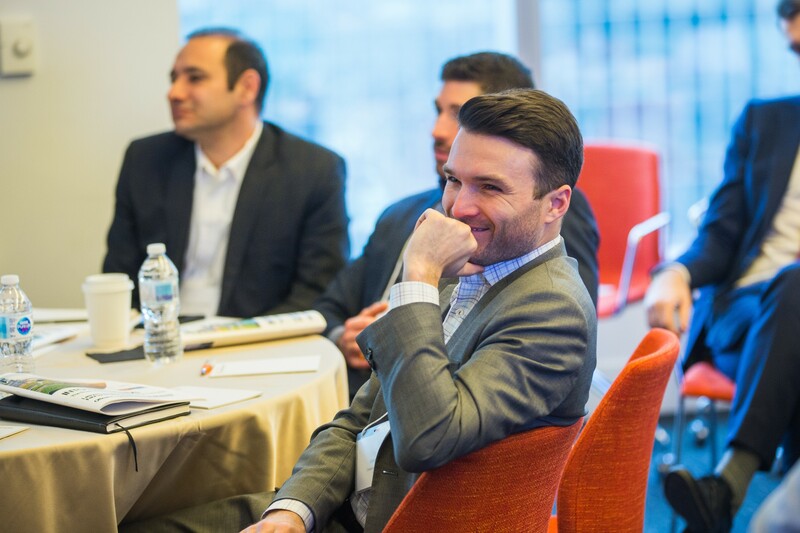 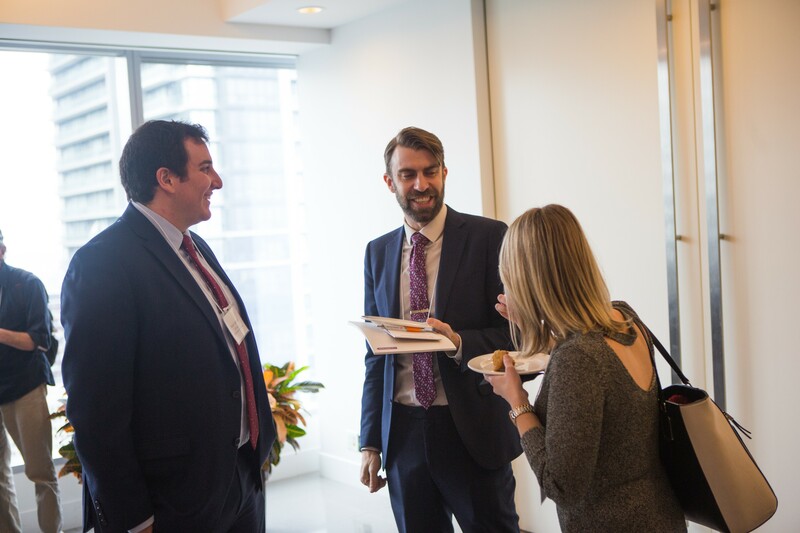 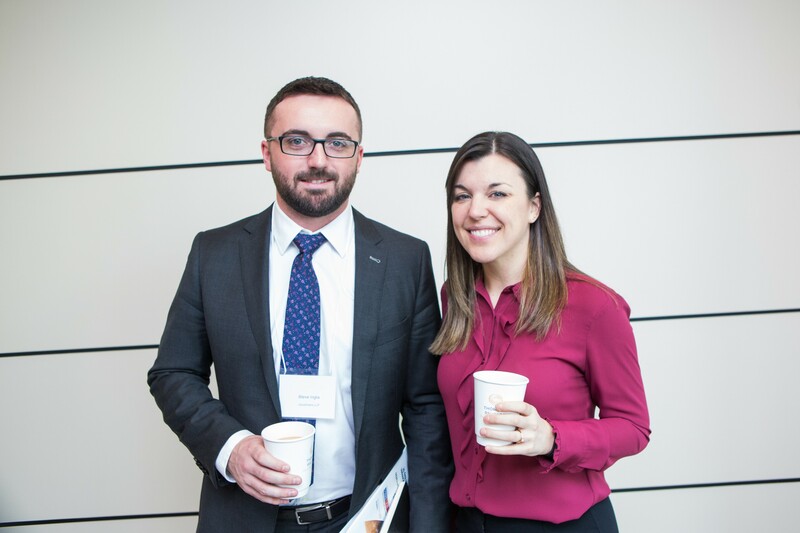 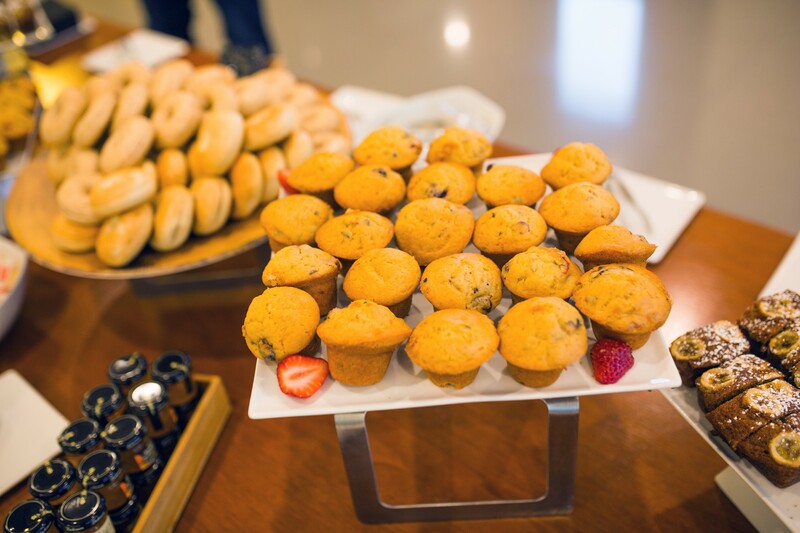 The Conference’s success was the culmination of months of careful planning, specifically in sourcing quality speakers, which was aided considerably by Peter Macdonald and Ed Waitzer, as well as lawyers from Davies. 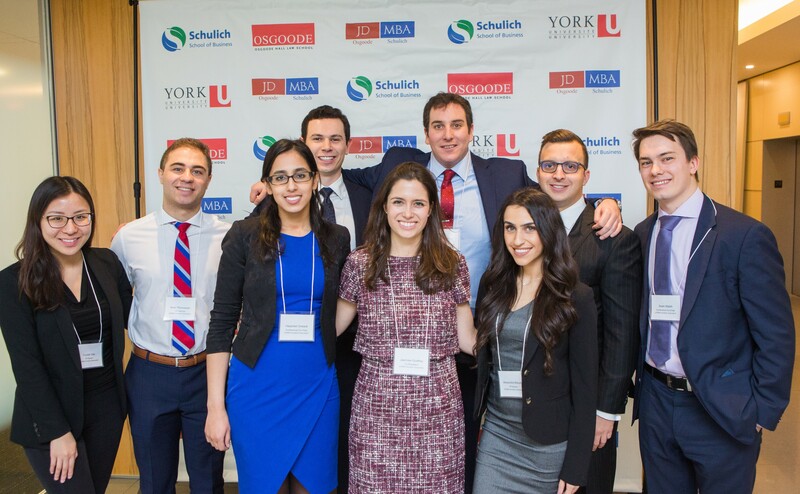 The JD/MBA Students’ Association would like to wholeheartedly thank everyone involved in making this Conference a great success. 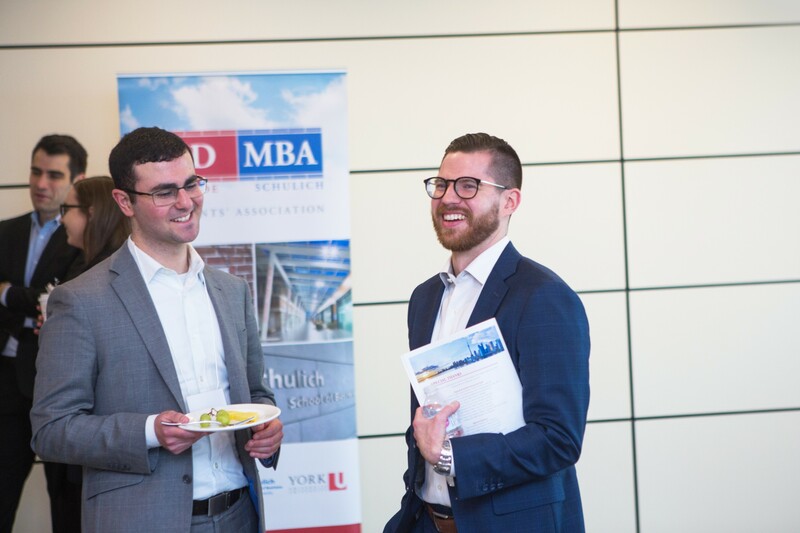 This year saw a record high number of tickets sold—and we hope to see everyone back next year for another great event!